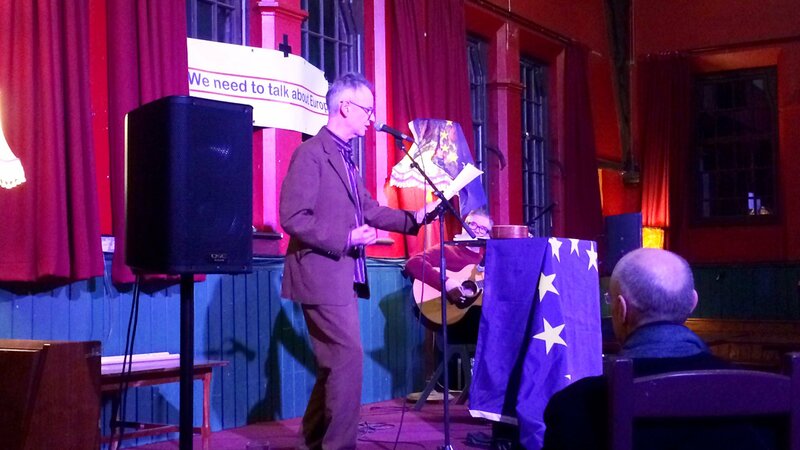 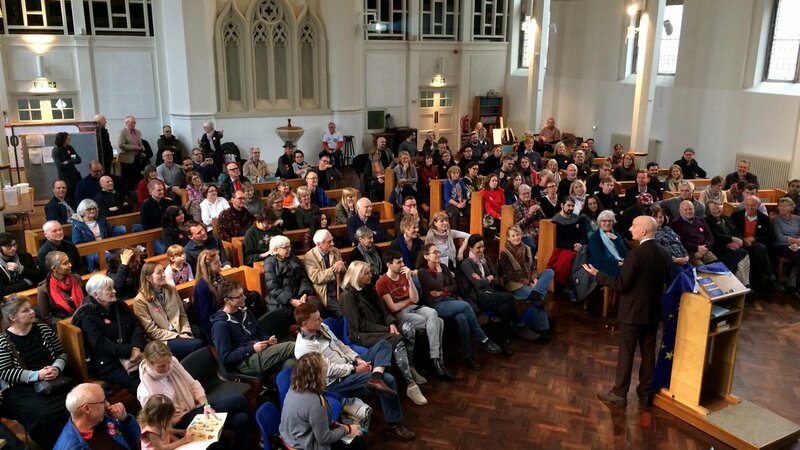 A barnstorming performance from one of our favourite peers, Andrew Adonis. 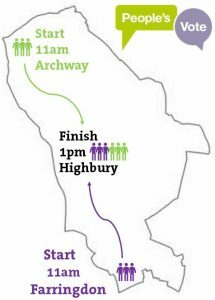 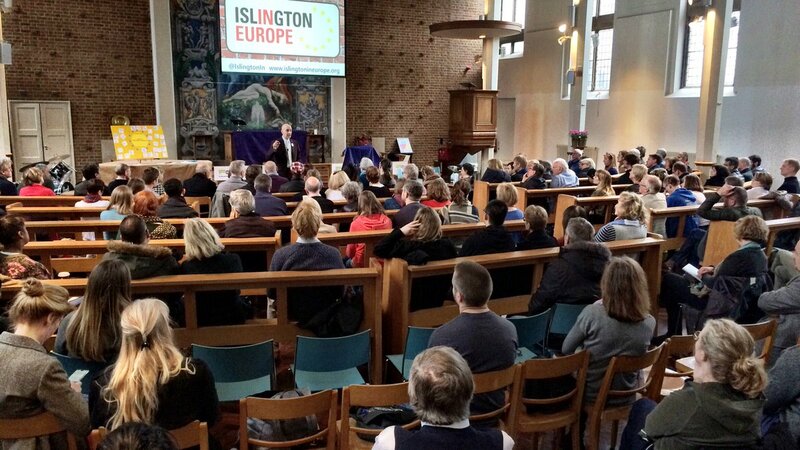 Thanks to St Stephen’s on Canonbury Road for the venue. 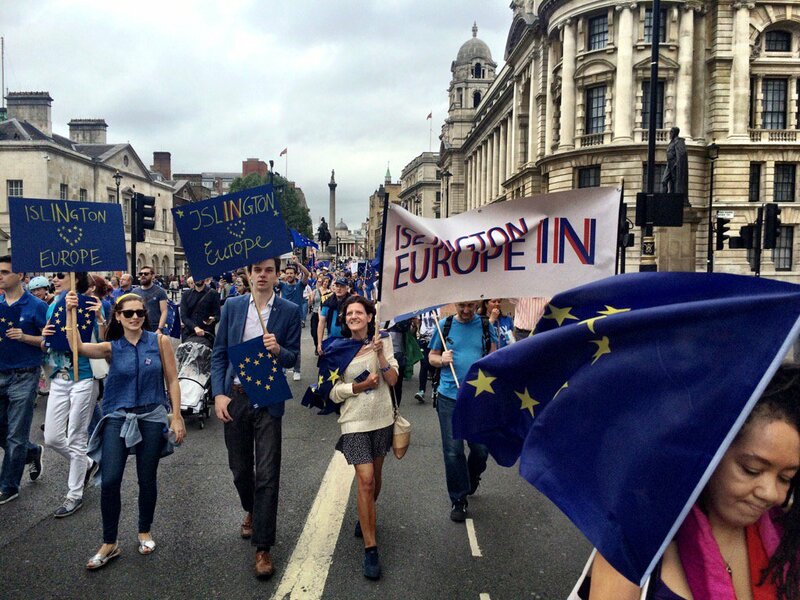 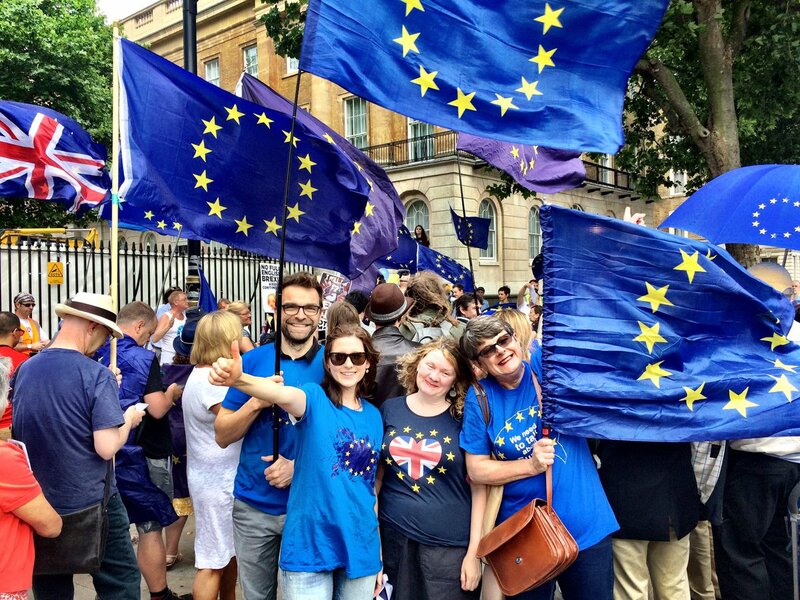 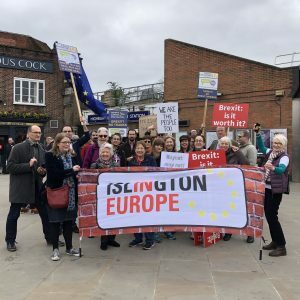 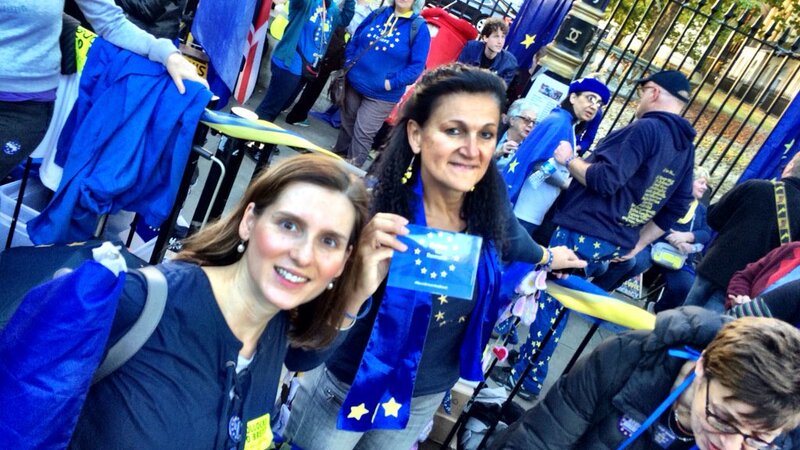 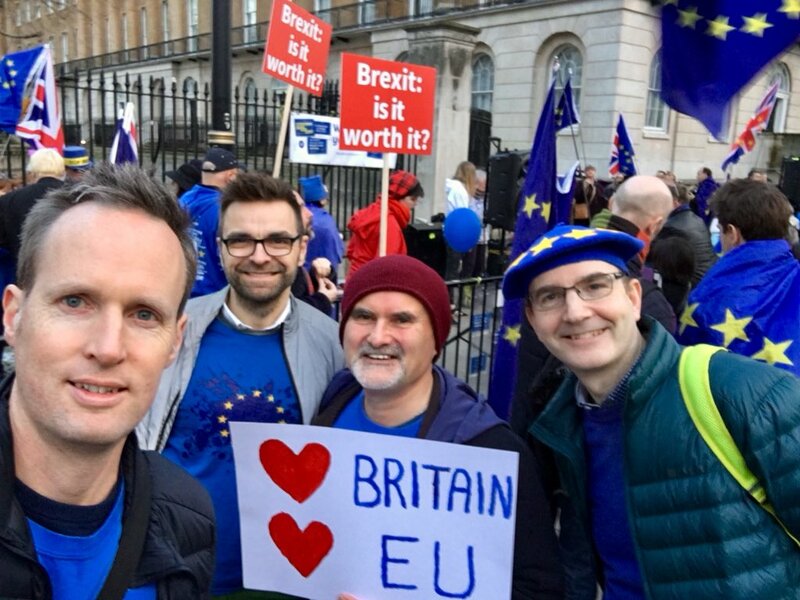 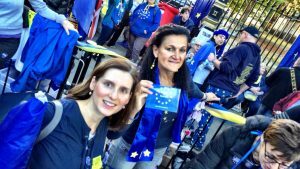 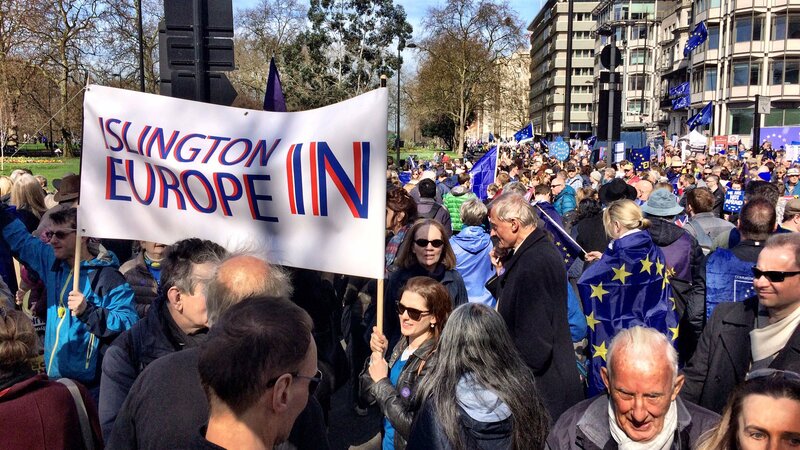 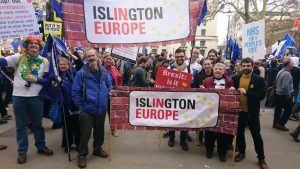 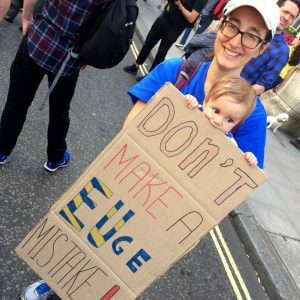 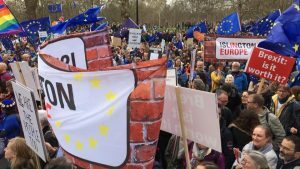 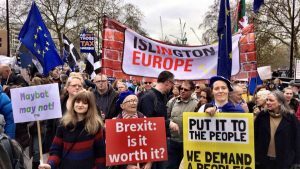 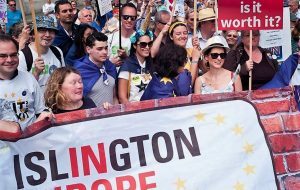 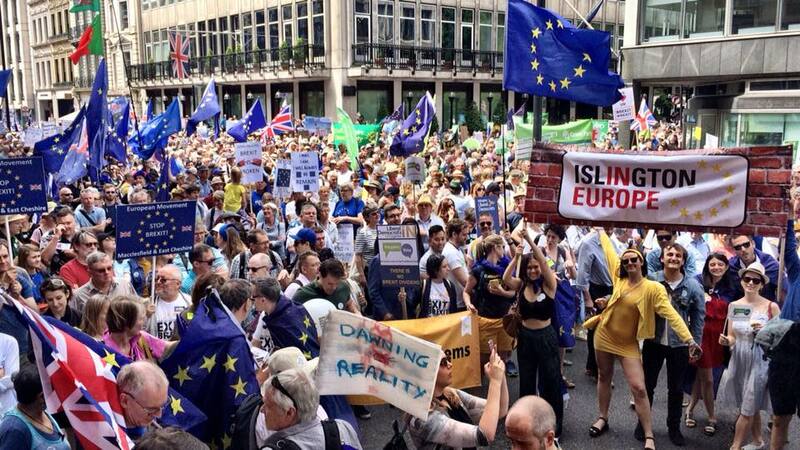 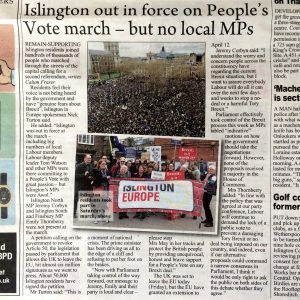 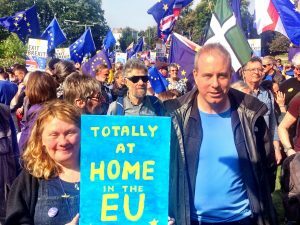 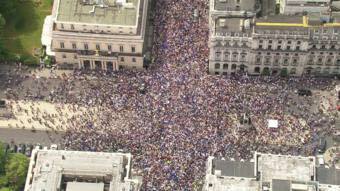 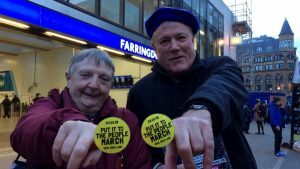 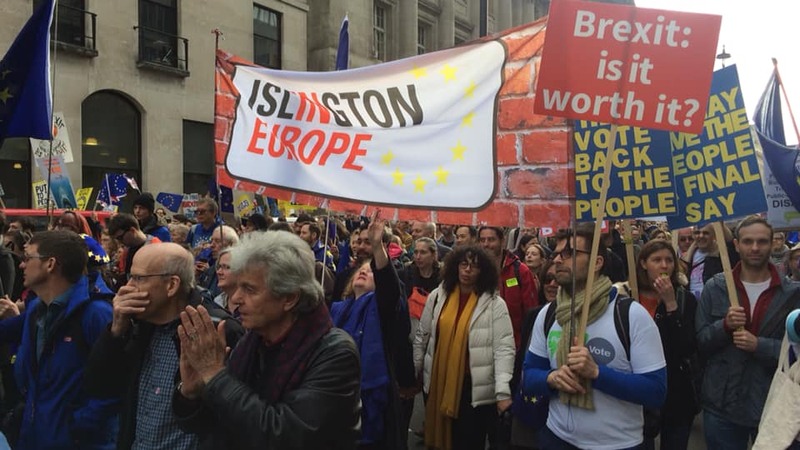 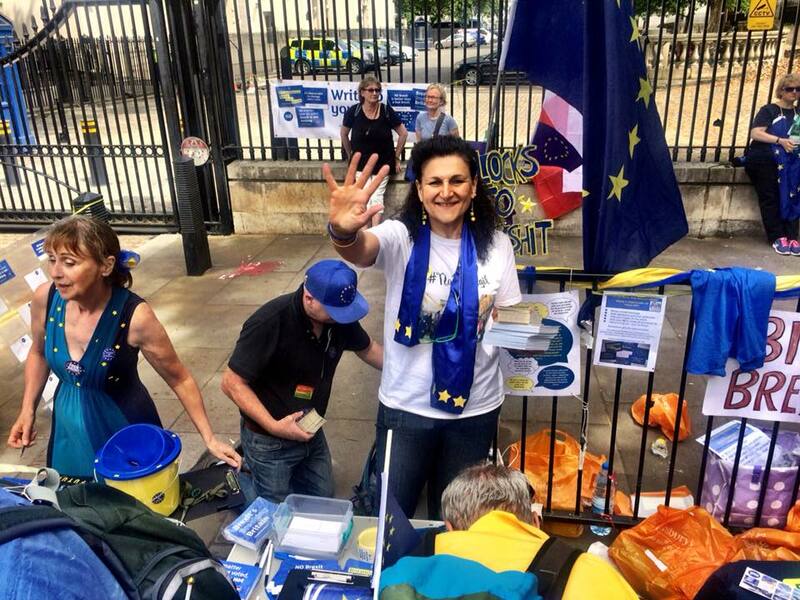 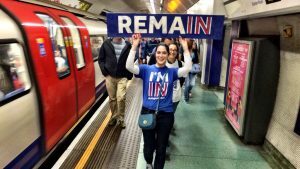 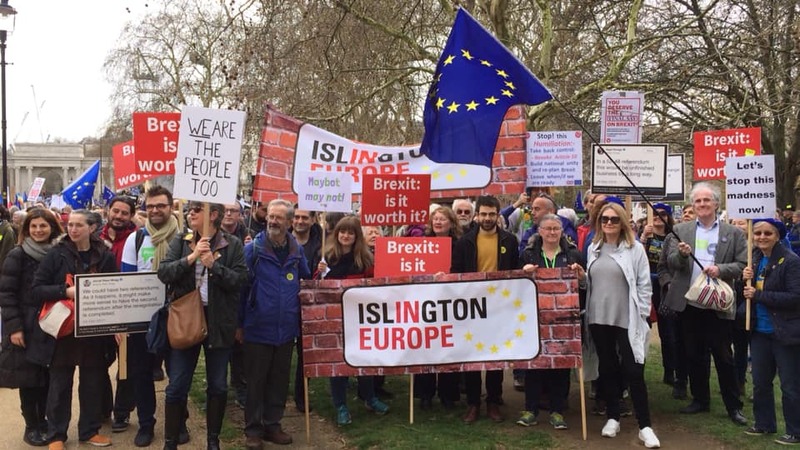 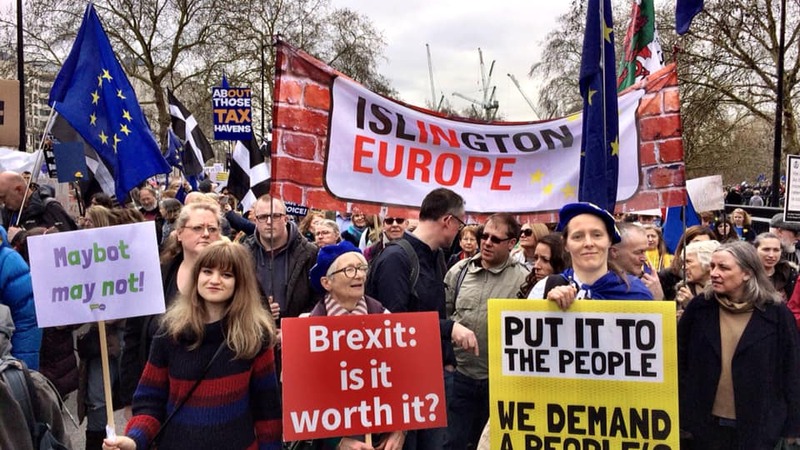 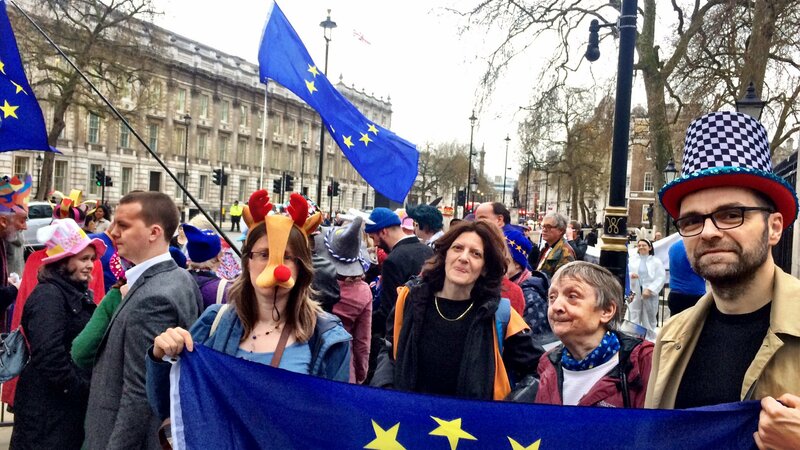 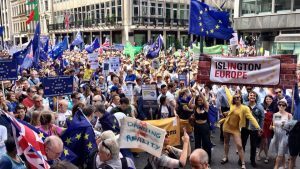 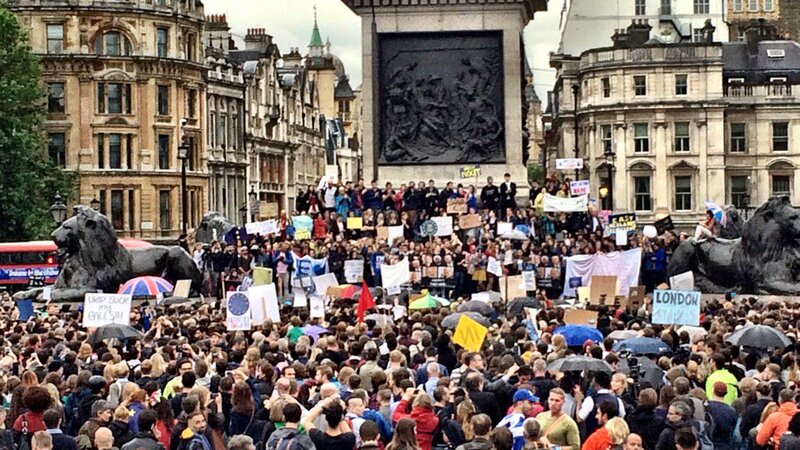 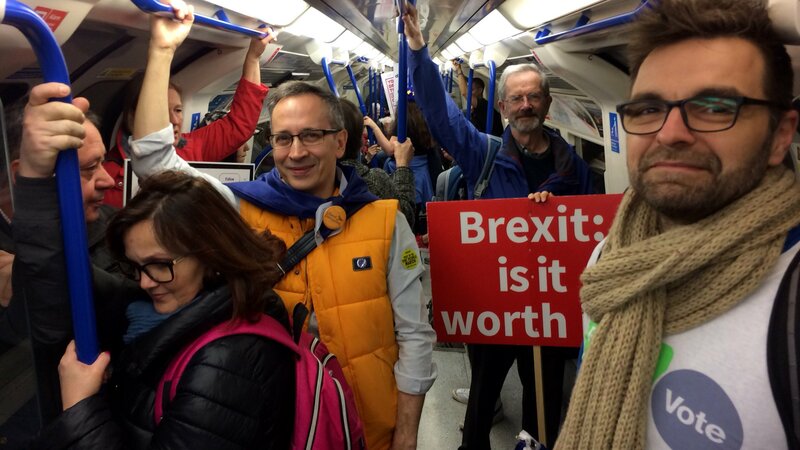 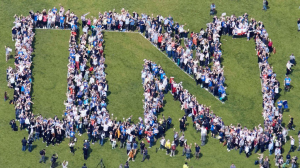 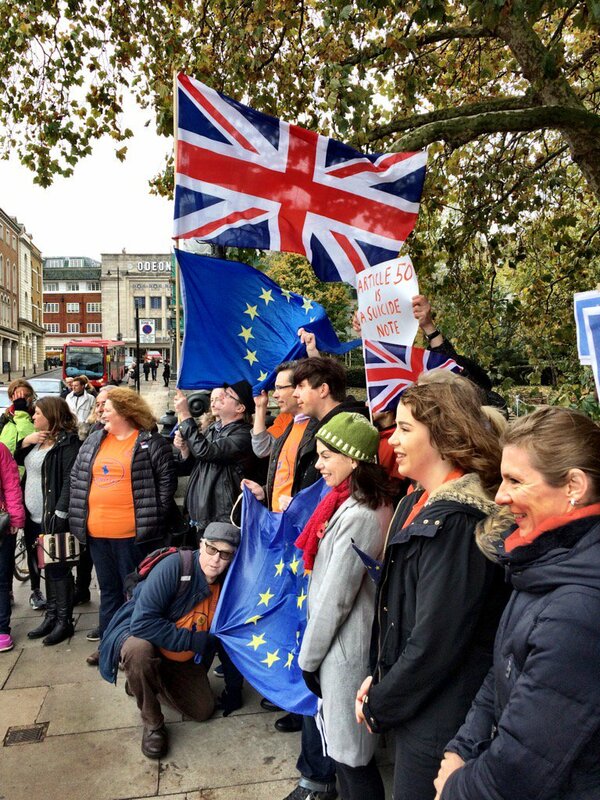 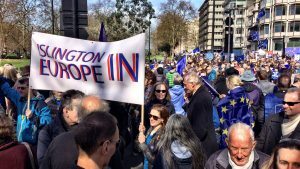 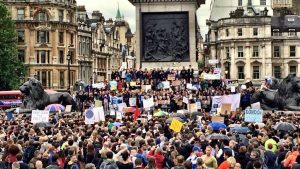 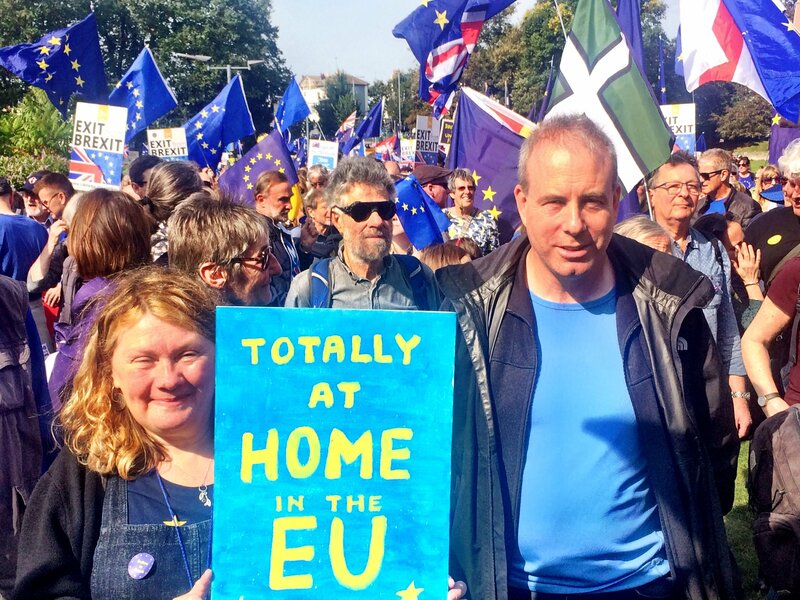 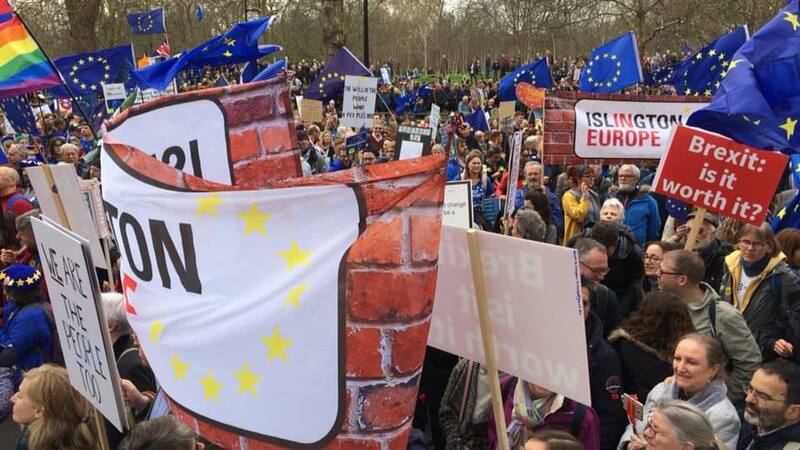 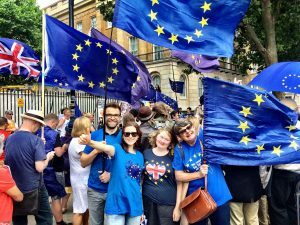 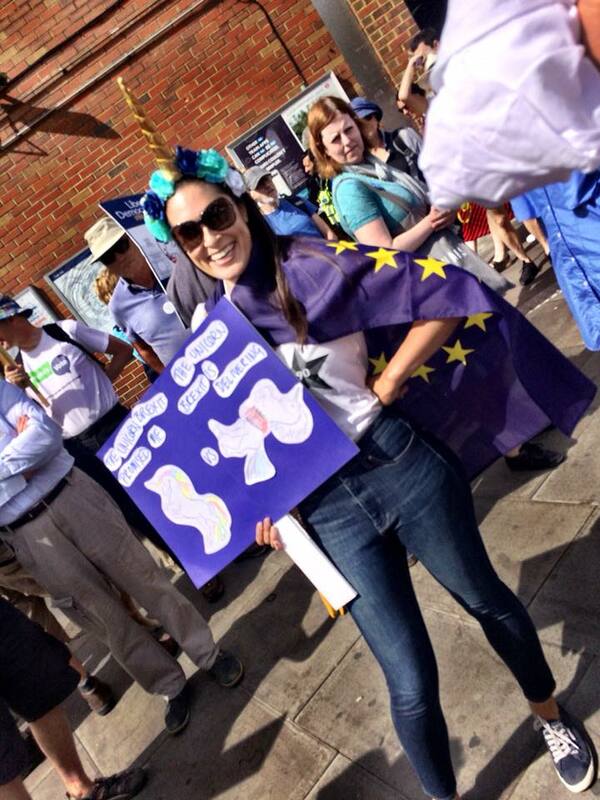 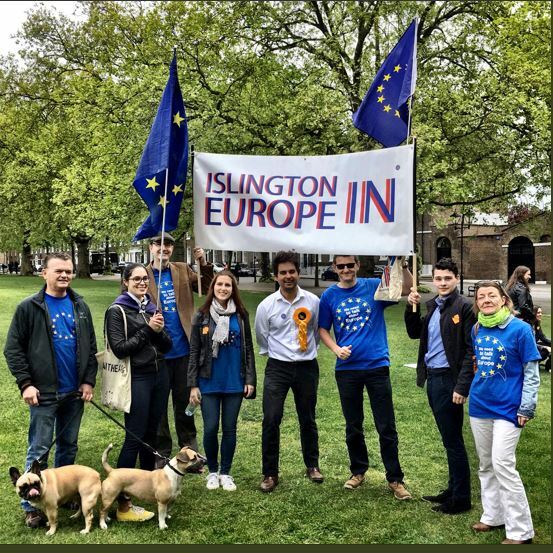 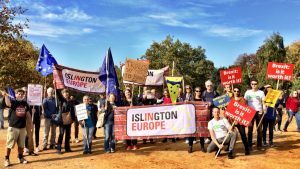 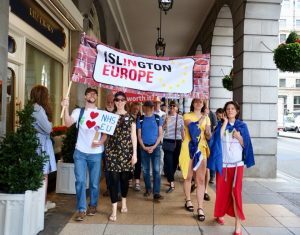 Islington In Europe was part of the million-strong Put It To The People march. 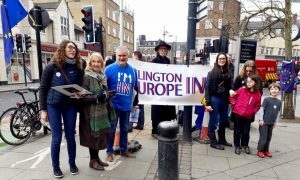 Local people from all parties and none joined us. 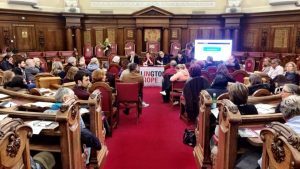 In collaboration with Islington Council, Wilsons and Wesley Gryk solicitors. 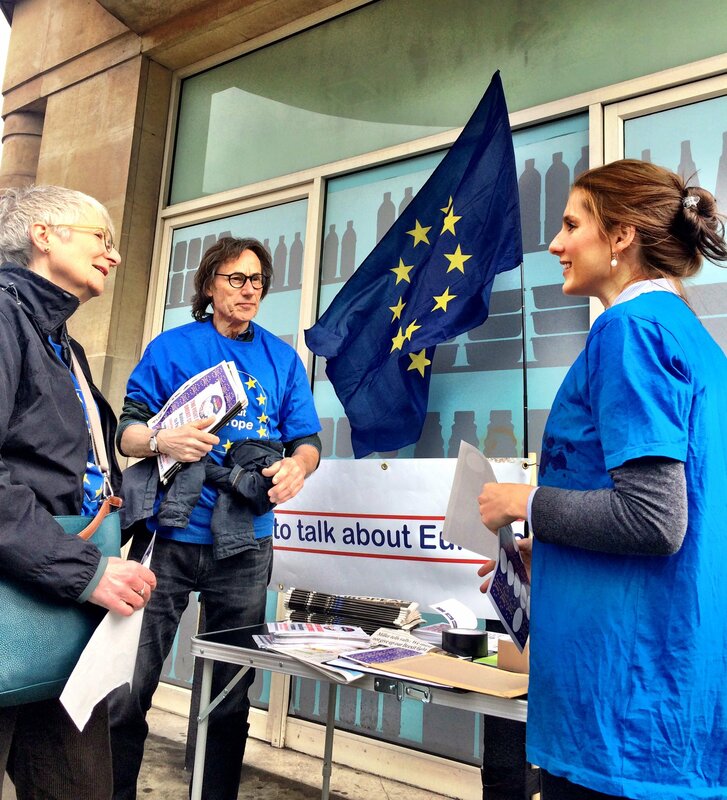 See our ‘Support for EU nationals’ page for resources. 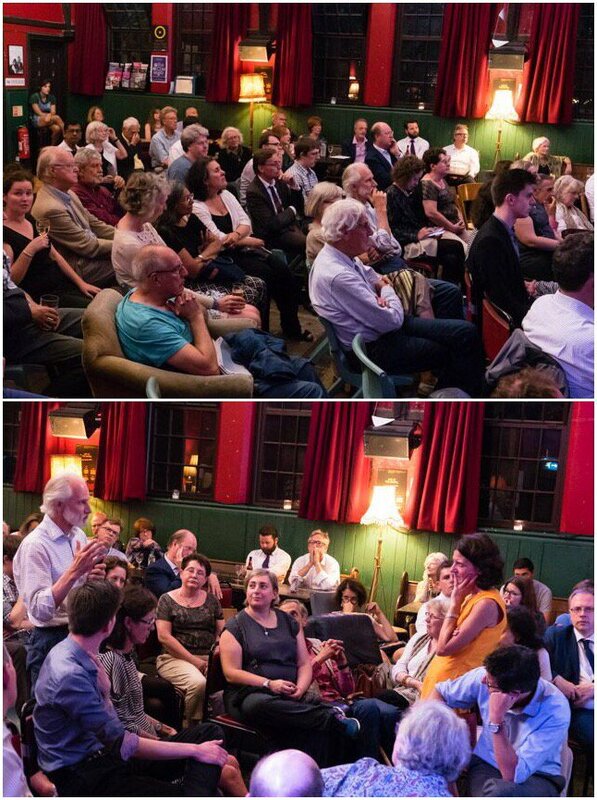 We were thrilled to be joined by actress Fiona Shaw CBE, broadcaster Sir John Tusa and journalist Denis Staunton for an evening of discussion on the arts, media bias and the Irish question. 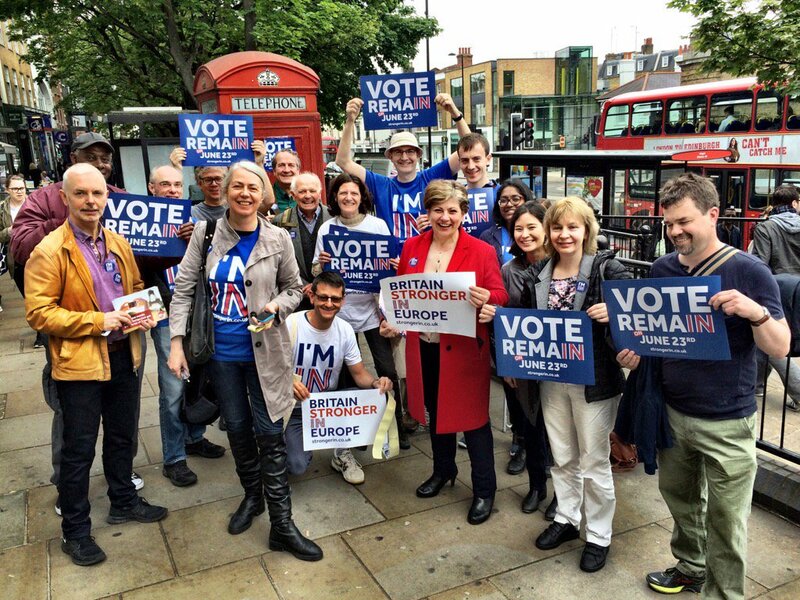 An impassioned and honest sharing of views with EmilyThornberry MP. 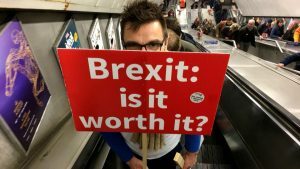 Common despair at utter irresponsibility of a govt fast running out of time. 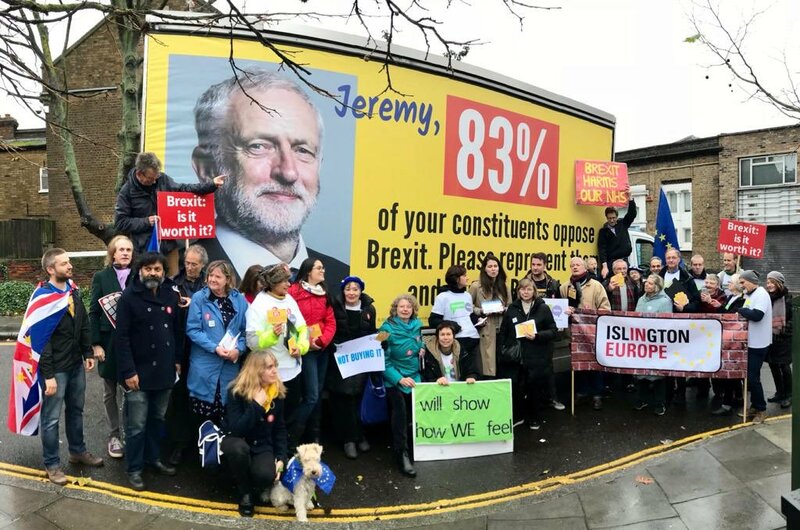 We conveyed our view that Labour must move to a People’s Vote PDQ or risk being complicit in Brexit disaster. 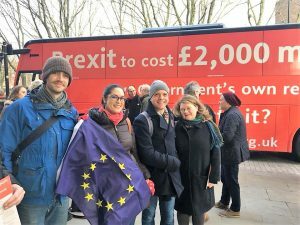 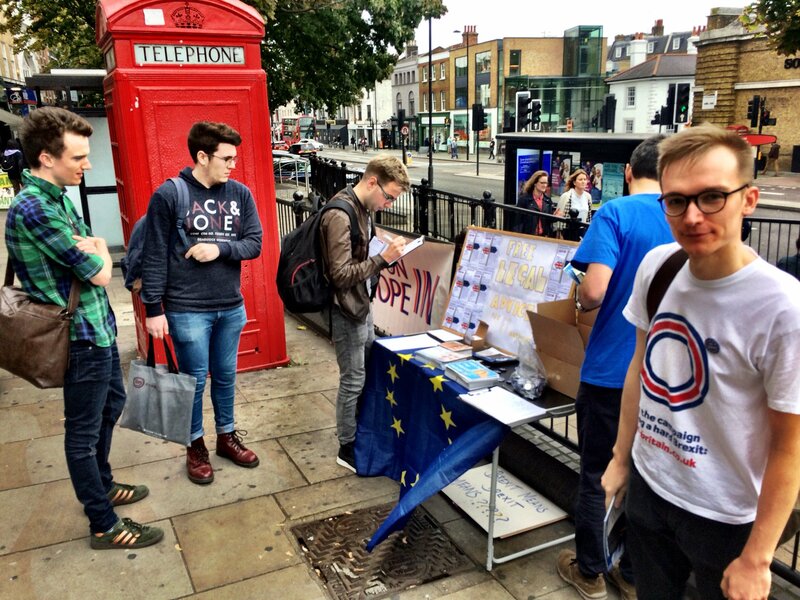 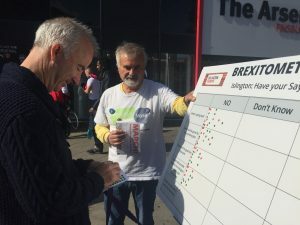 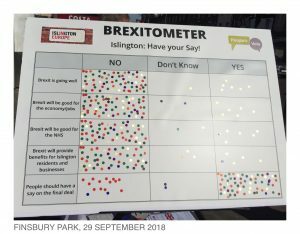 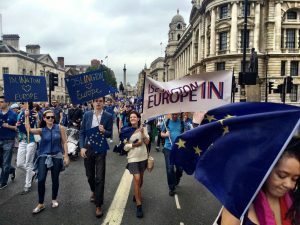 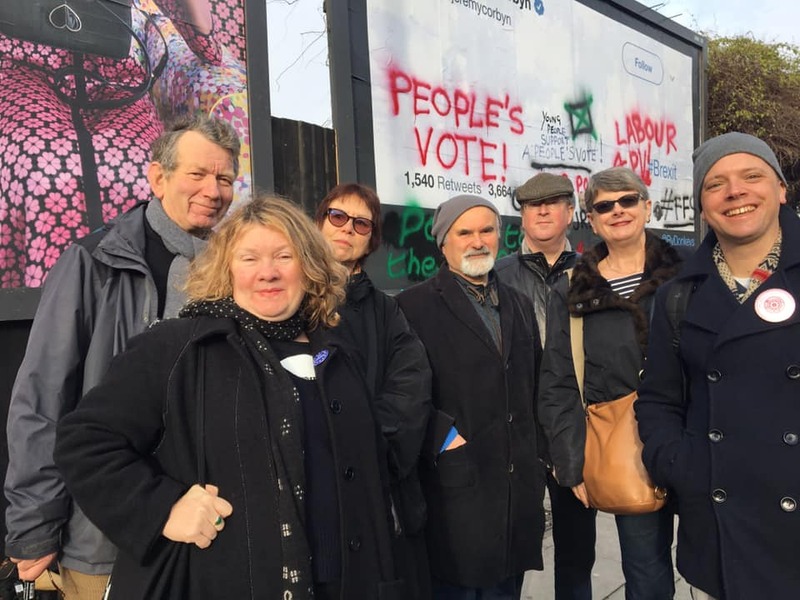 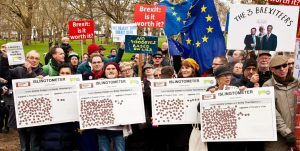 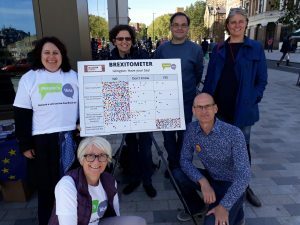 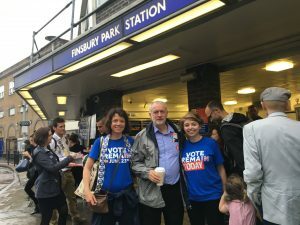 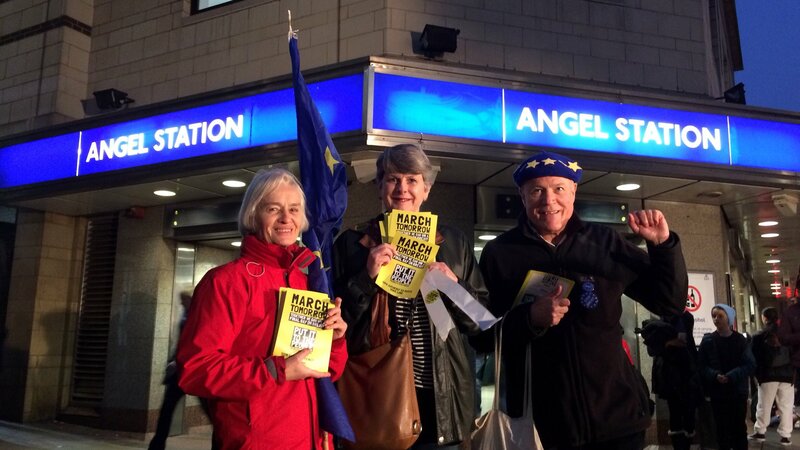 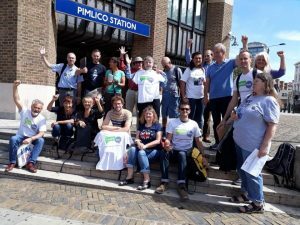 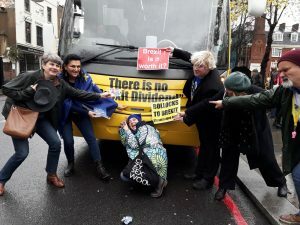 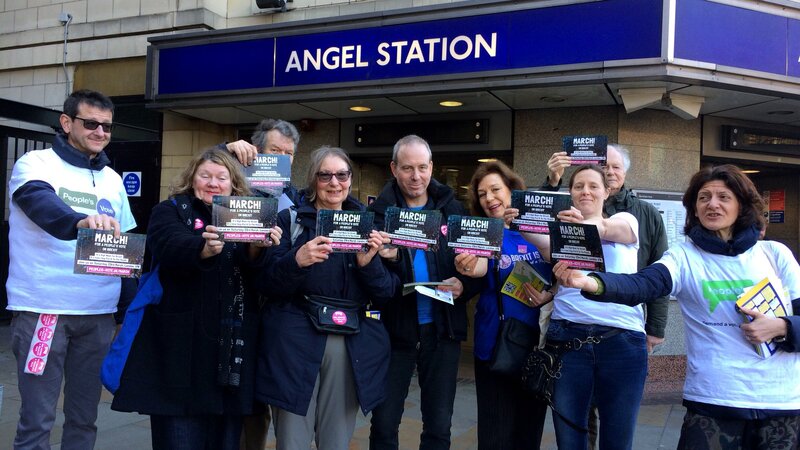 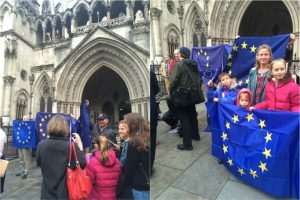 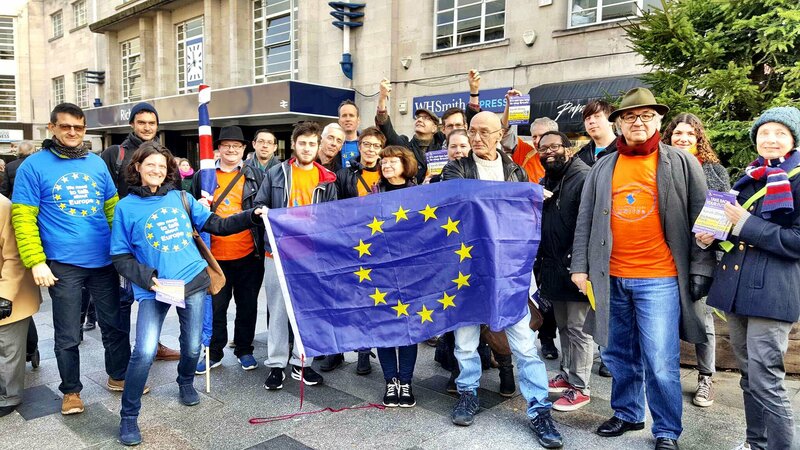 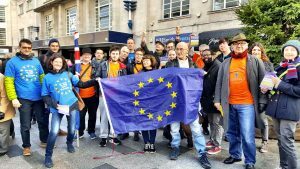 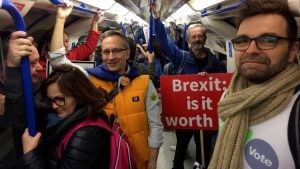 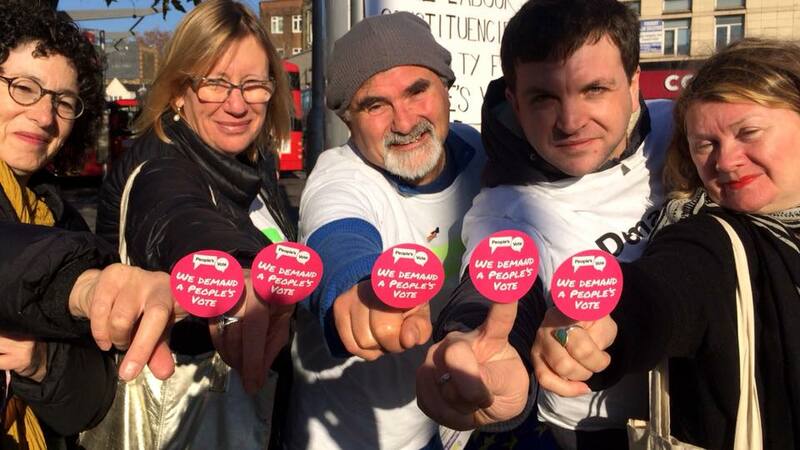 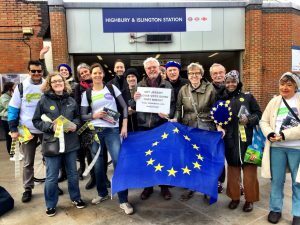 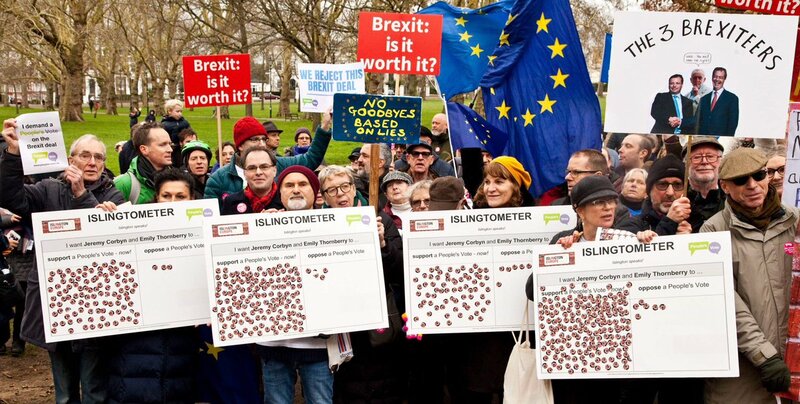 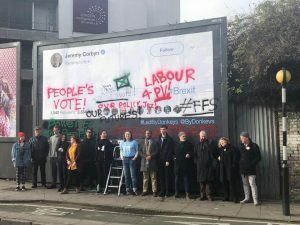 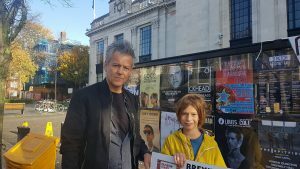 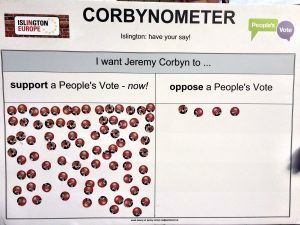 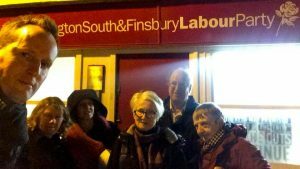 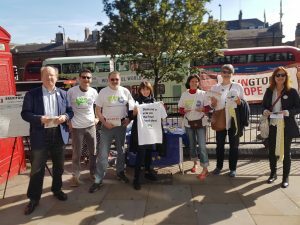 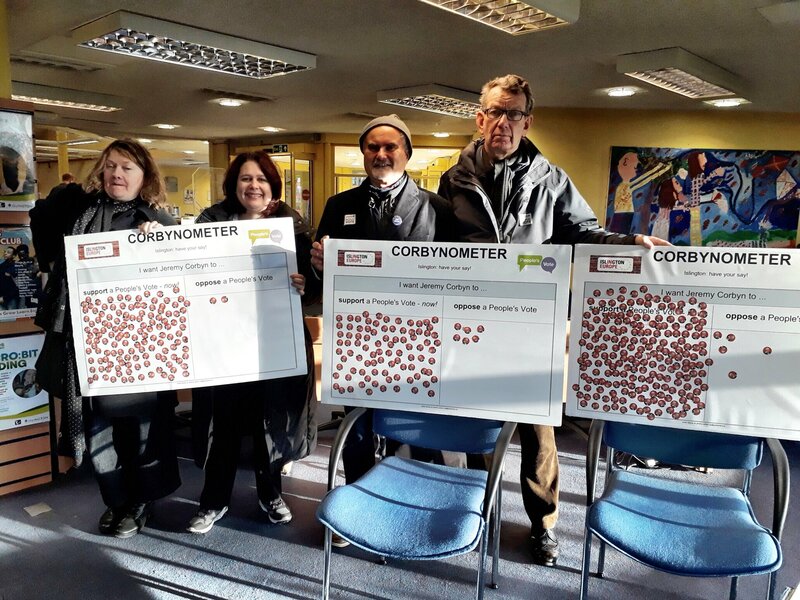 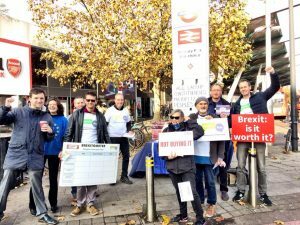 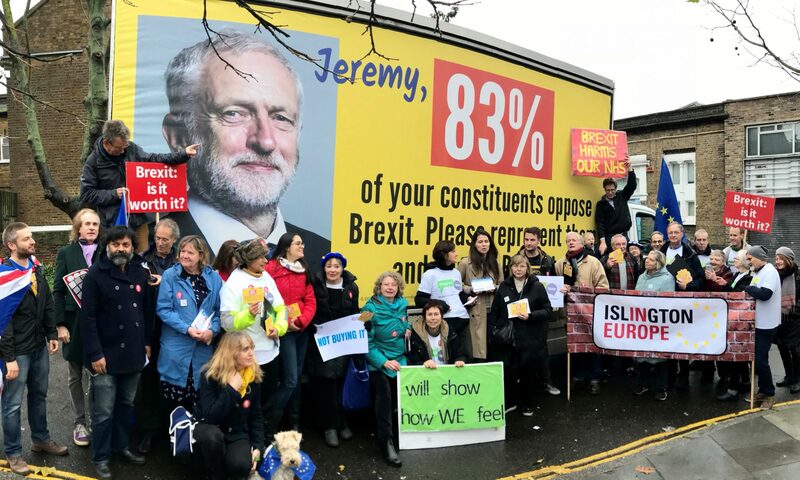 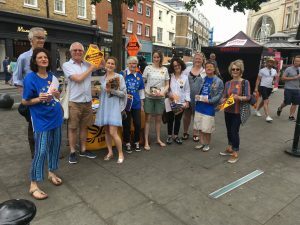 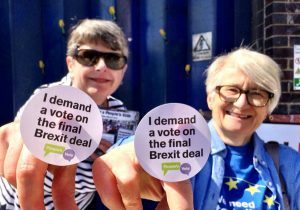 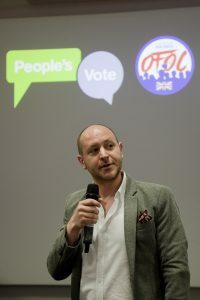 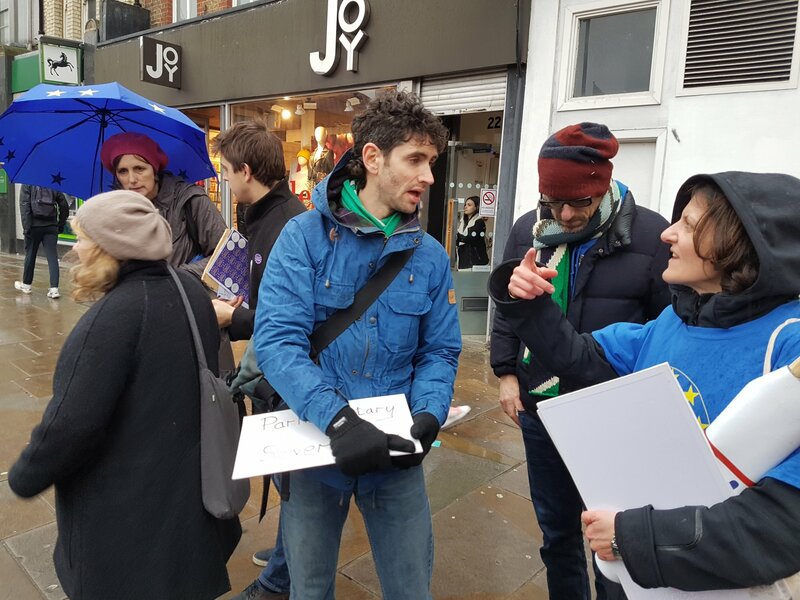 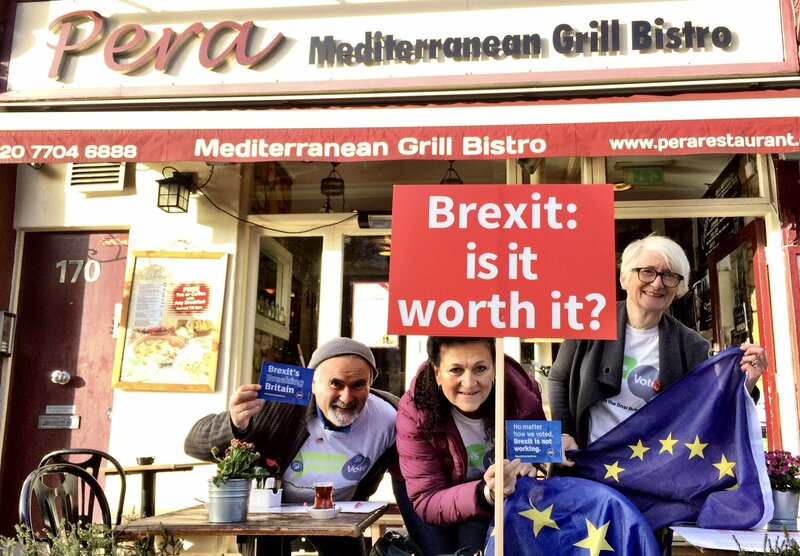 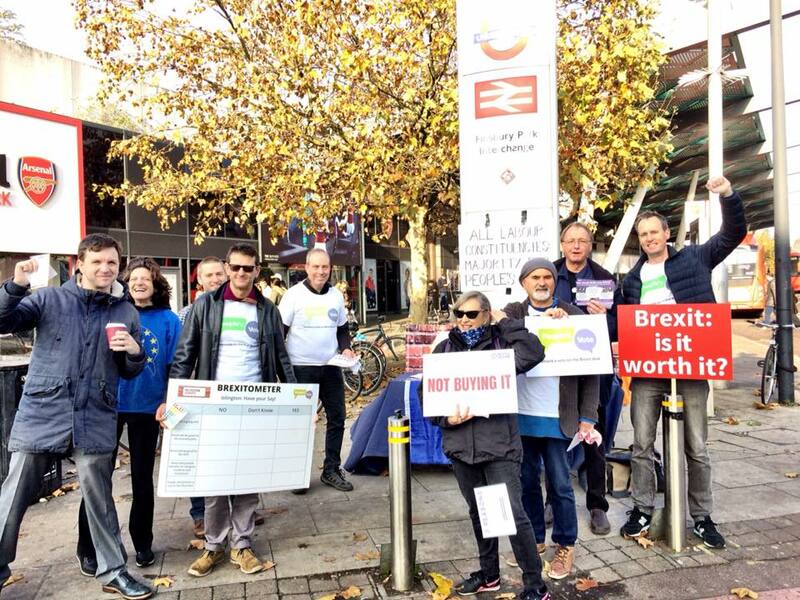 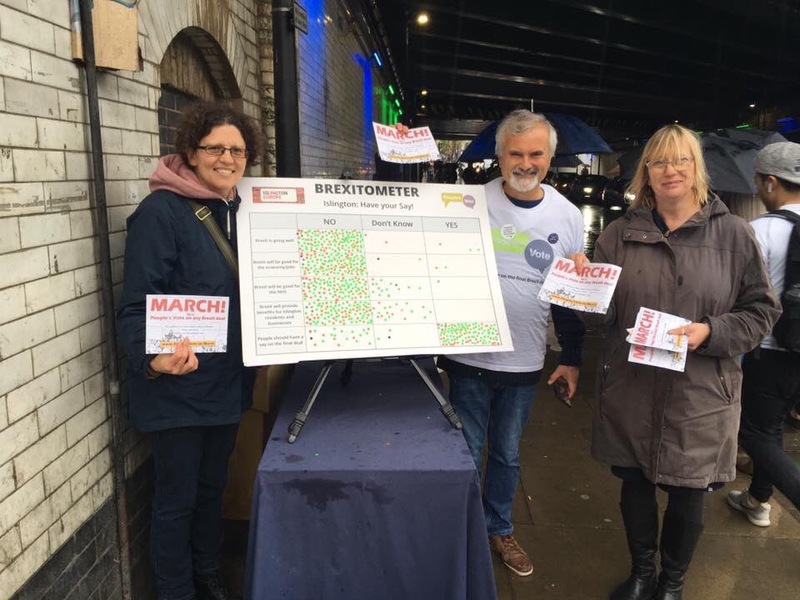 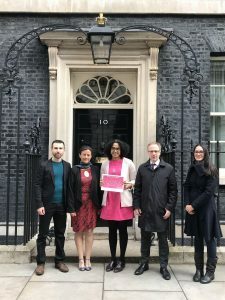 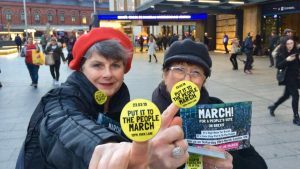 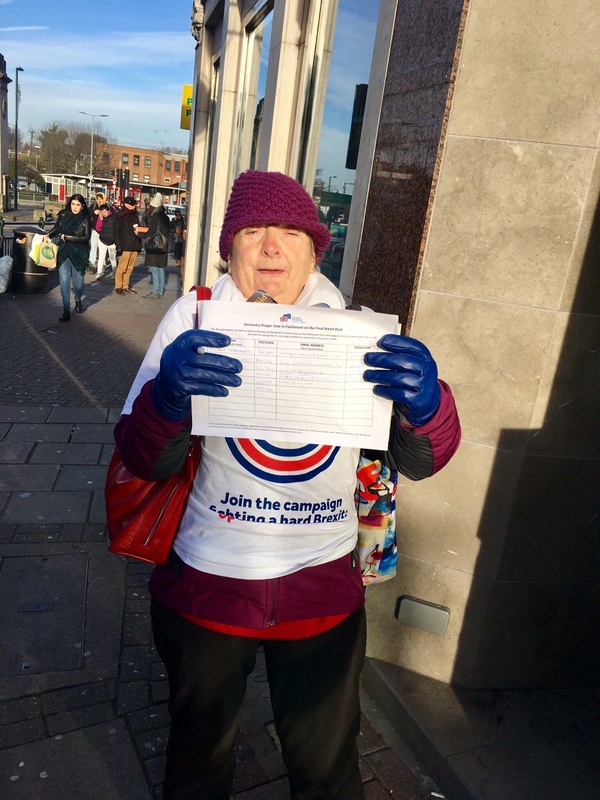 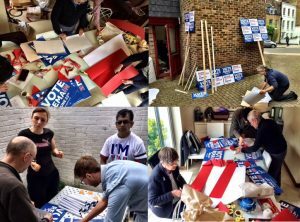 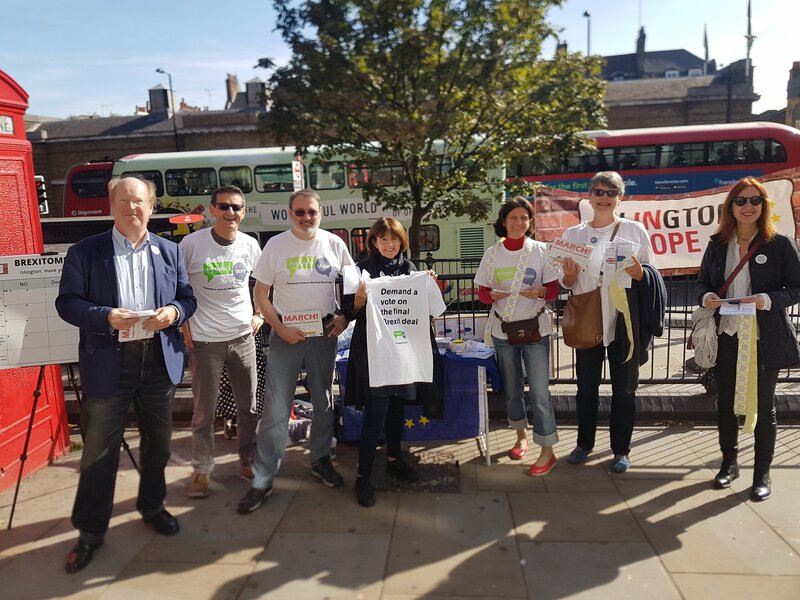 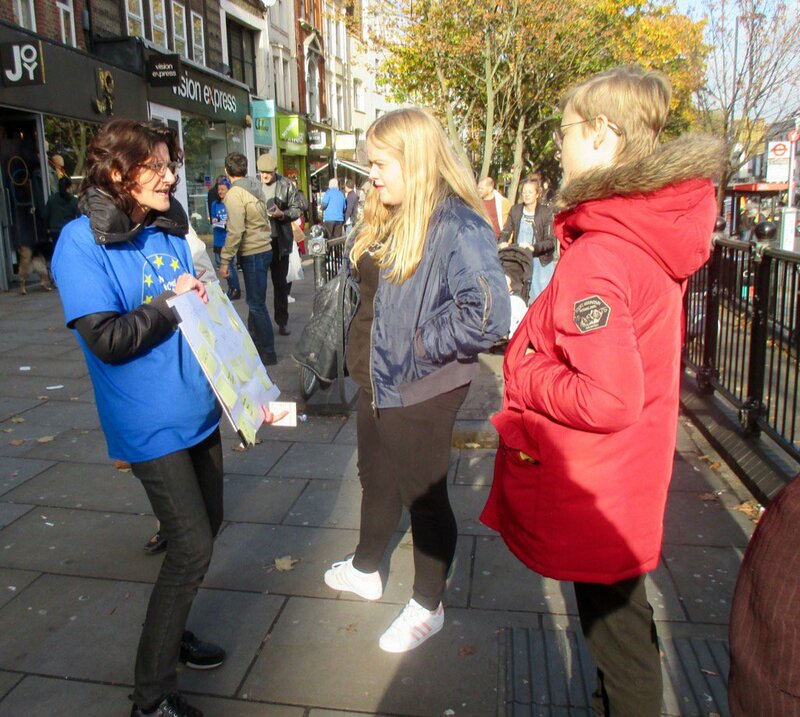 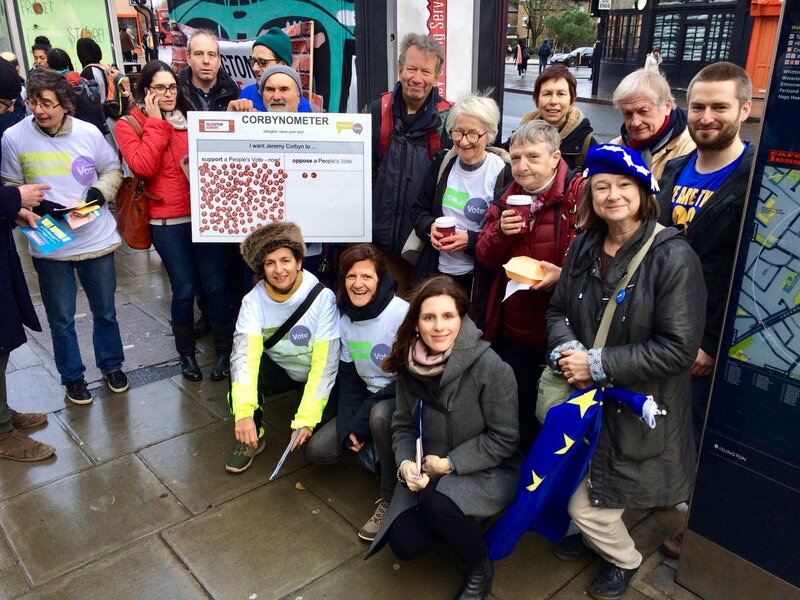 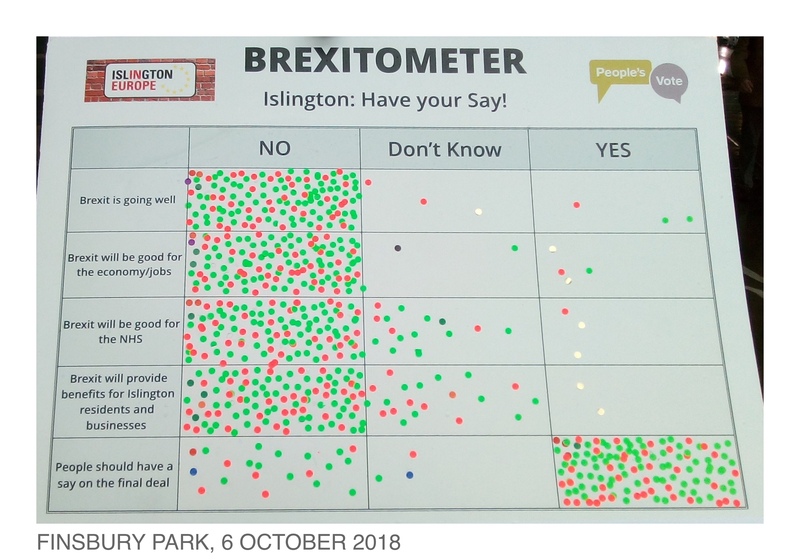 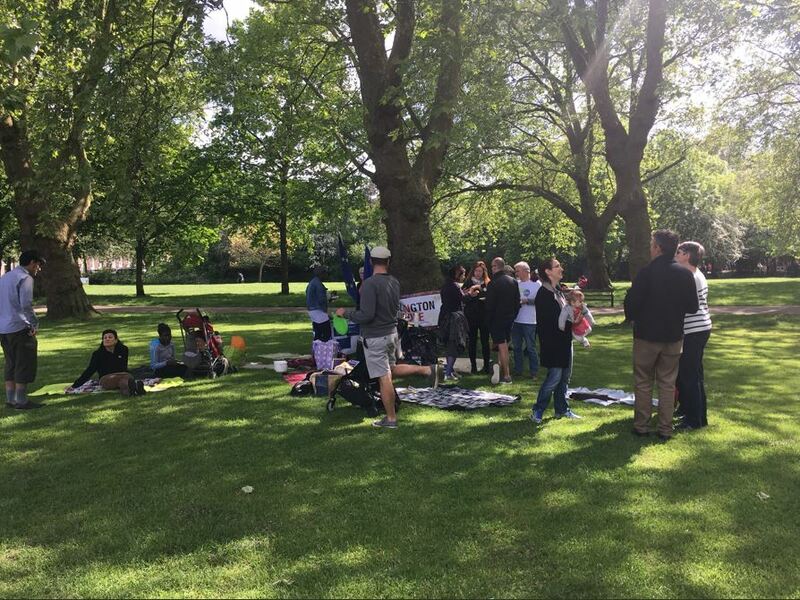 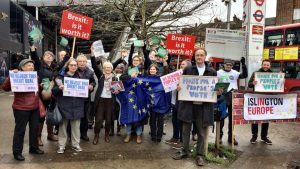 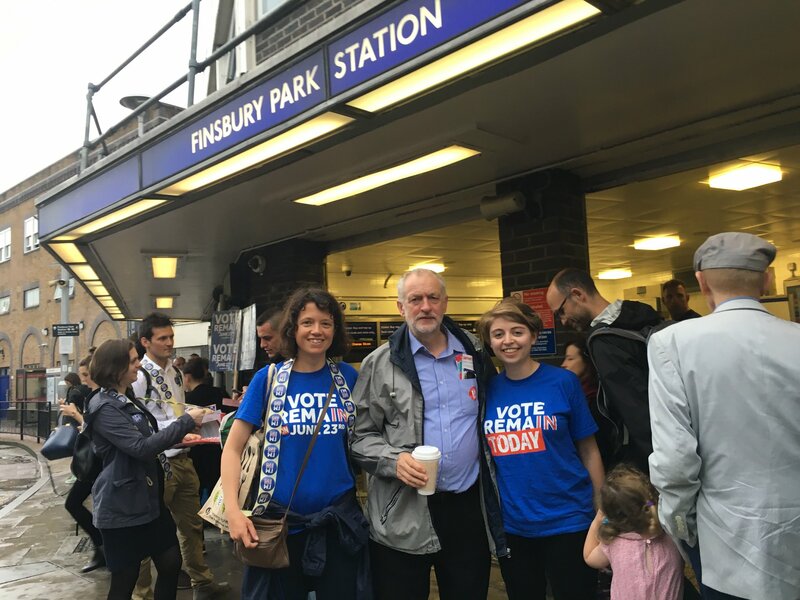 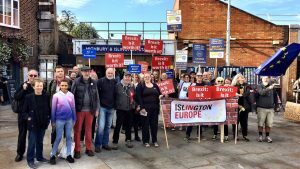 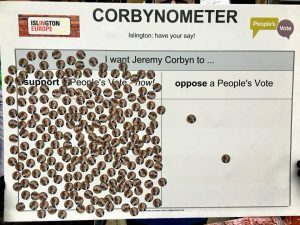 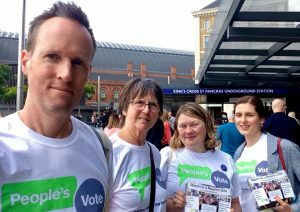 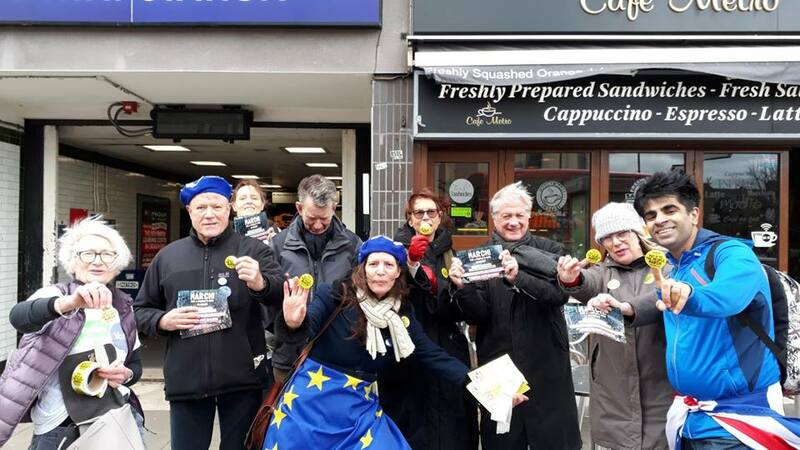 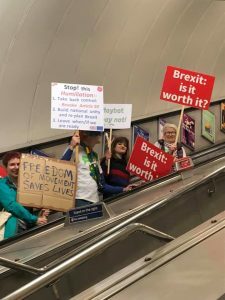 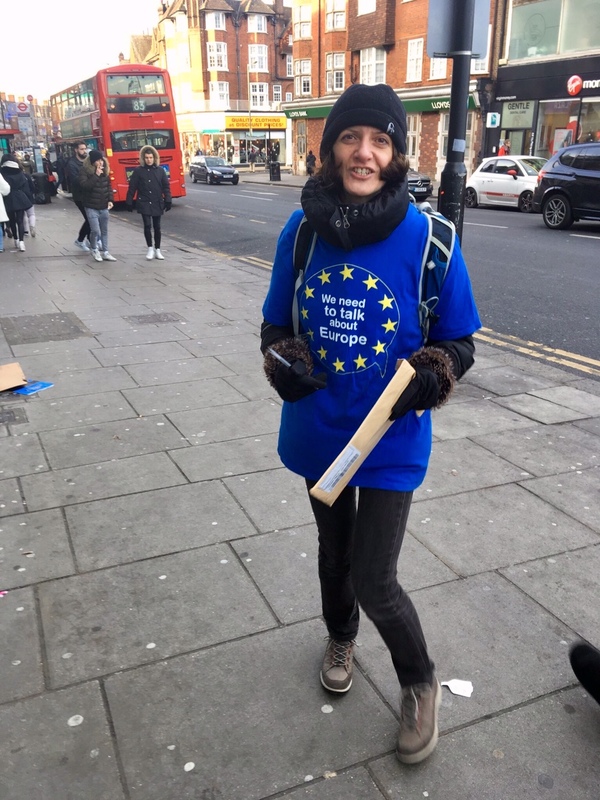 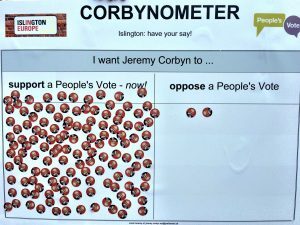 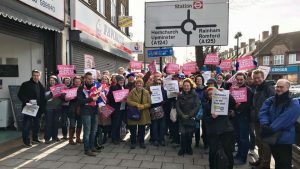 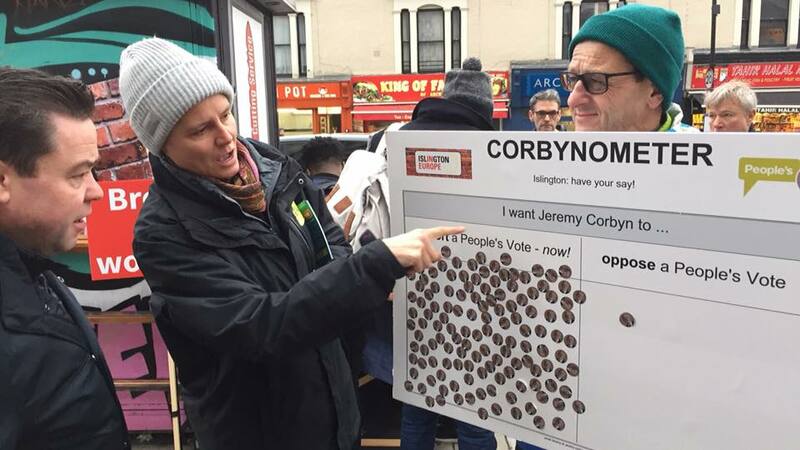 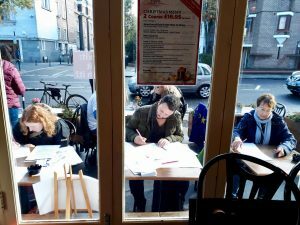 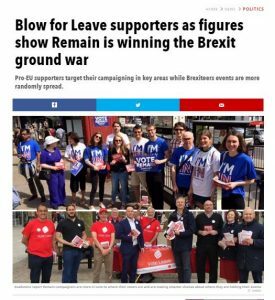 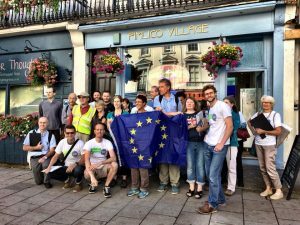 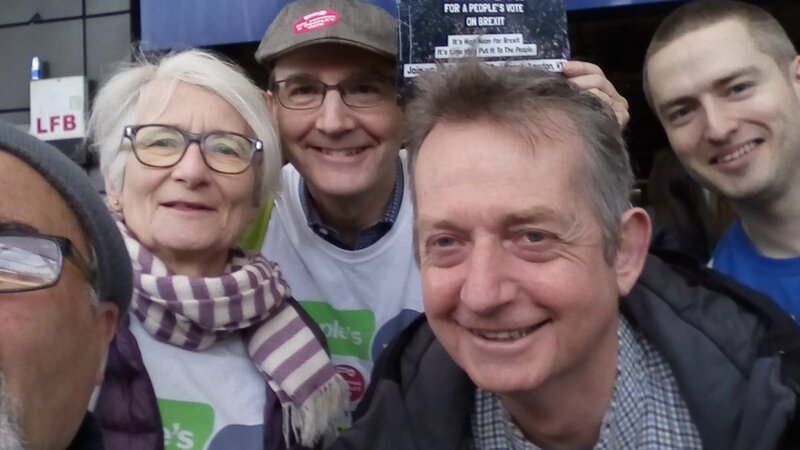 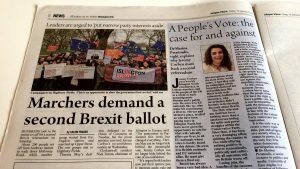 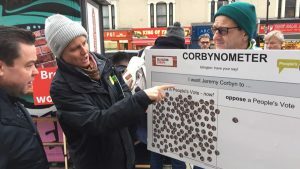 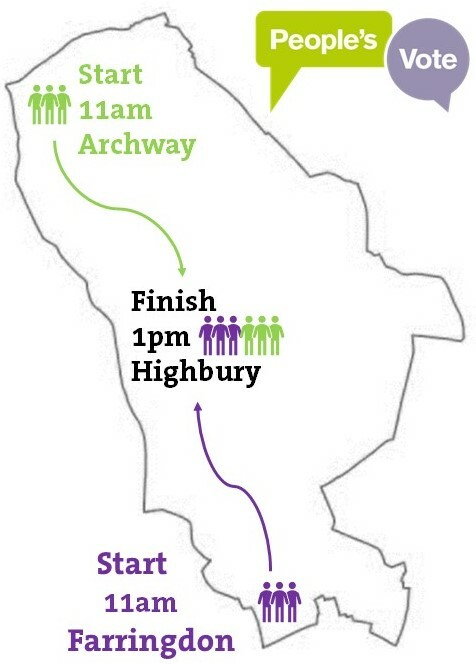 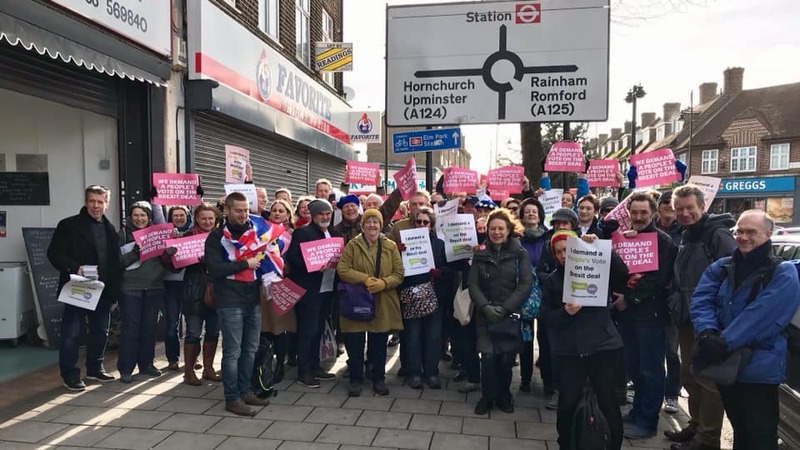 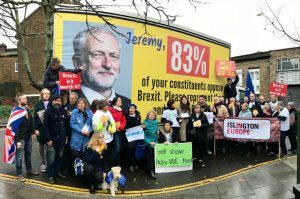 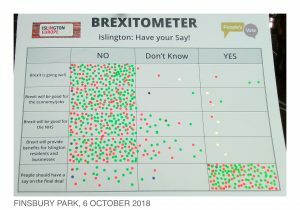 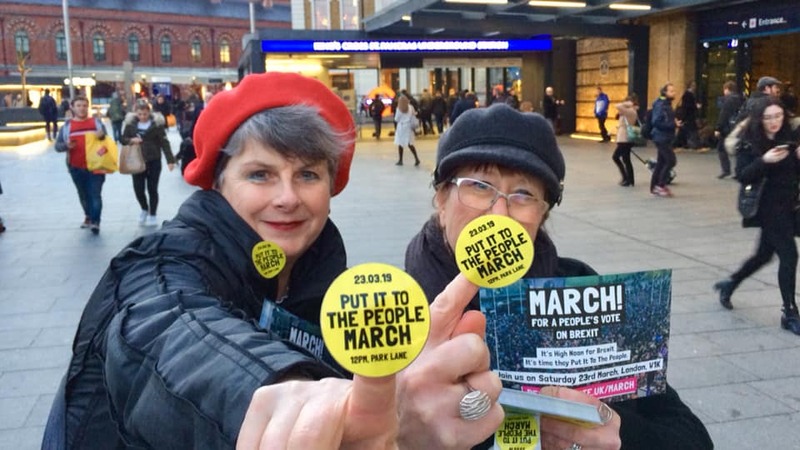 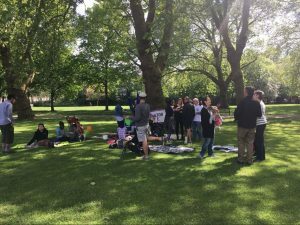 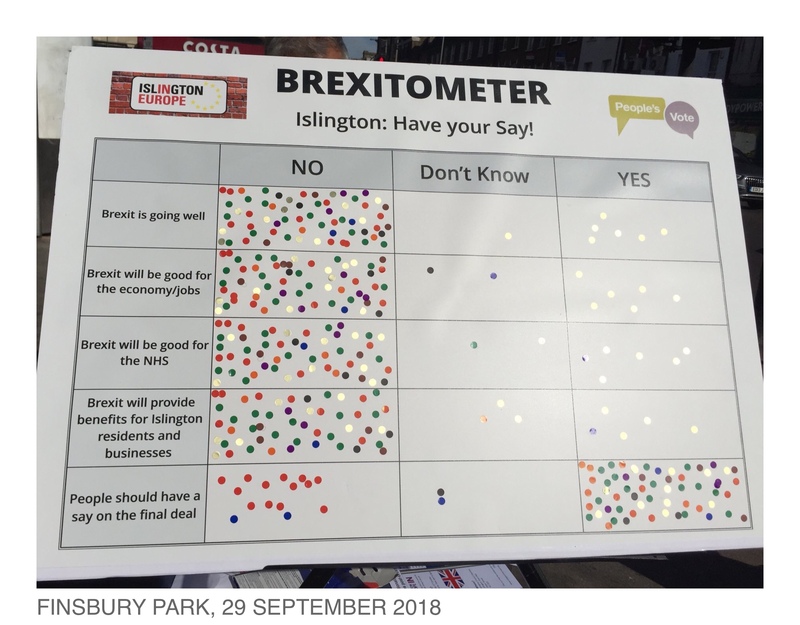 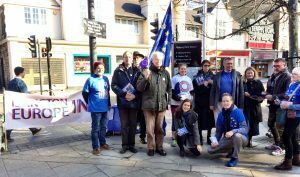 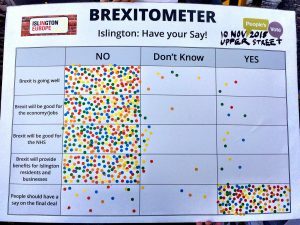 Days before MPs were finally asked to vote on the Government’s Brexit deal, Islington In Europe and friends walked the length of the borough – Archway in the North and Farringdon in the South – to send one final message telling Jeremy Corbyn and Emily Thornberry to vote it down and back a People’s Vote. 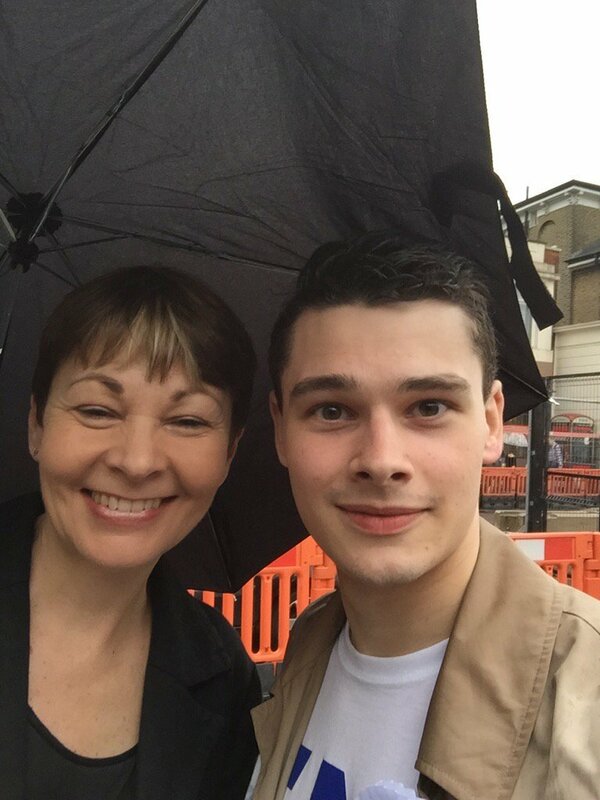 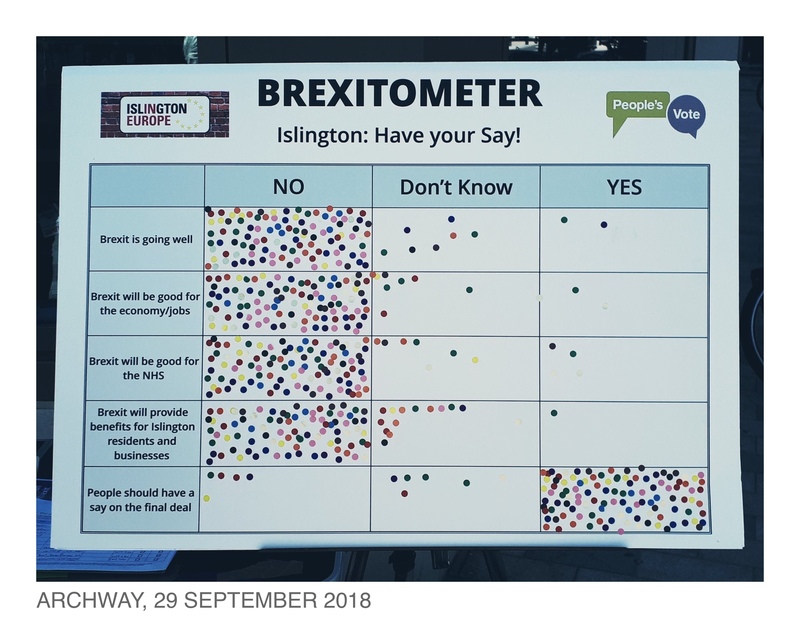 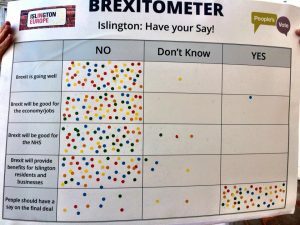 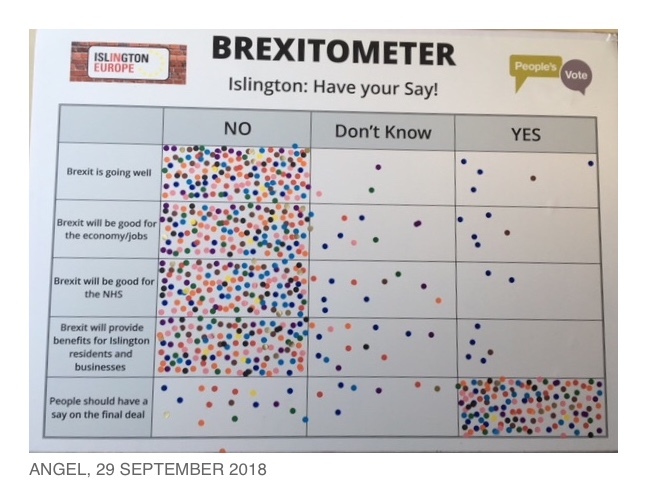 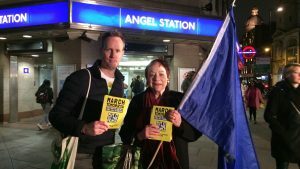 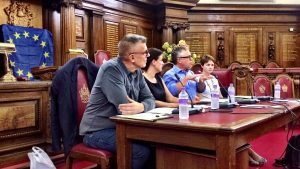 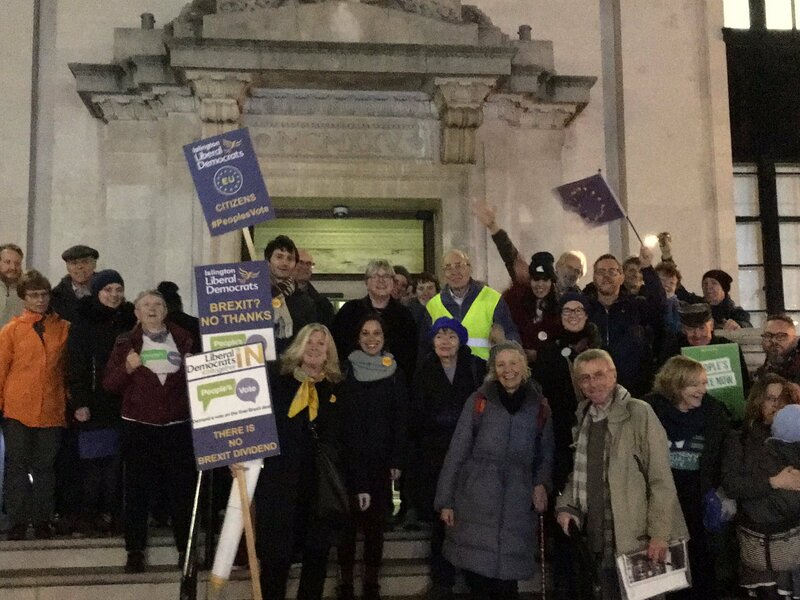 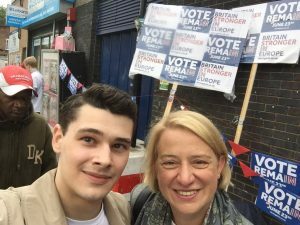 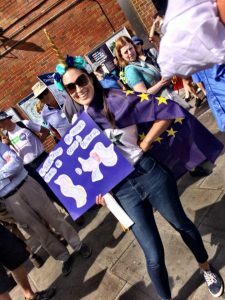 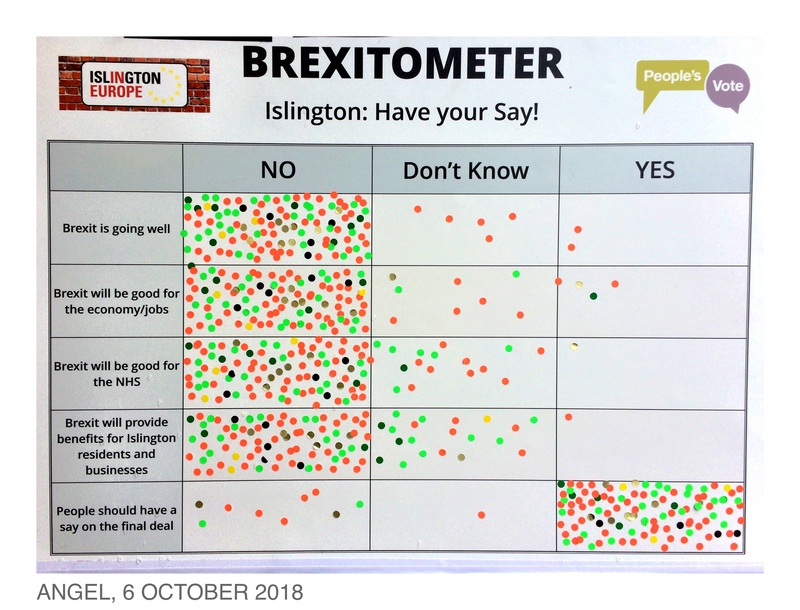 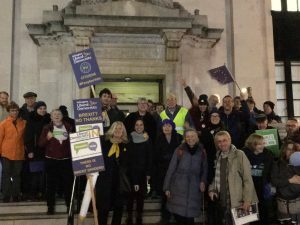 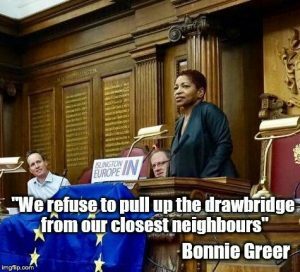 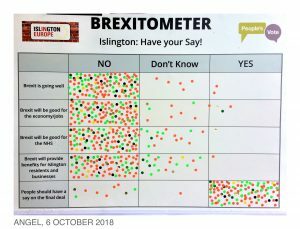 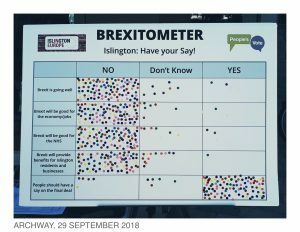 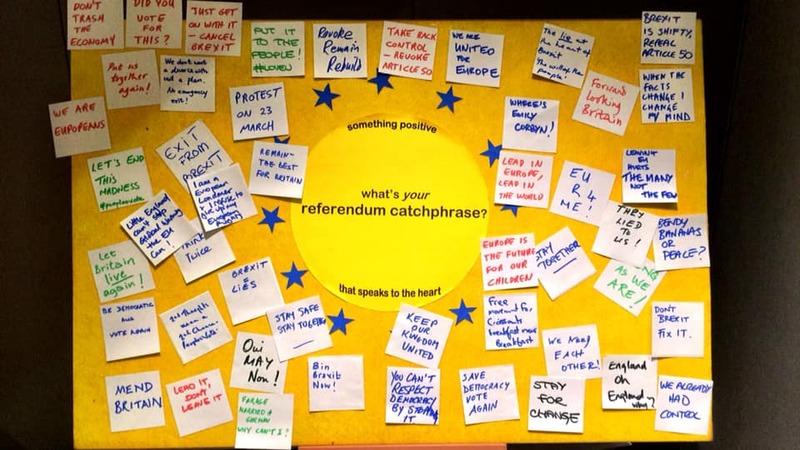 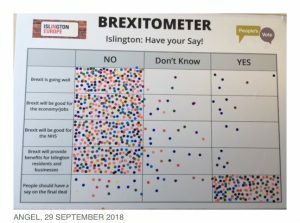 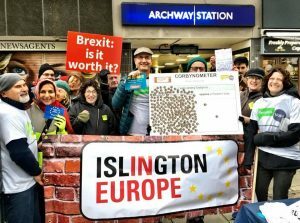 Green councillor Caroline Russell’s lobby for her Islington Council motion on a People’s Vote. 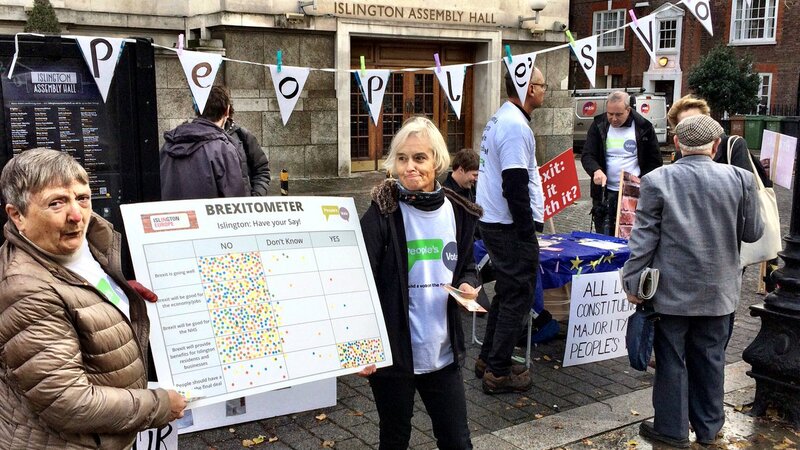 In collaboration with Hope not Hate, Best for Britain, Labour for a People’s Vote, Avaaz and People’s Vote. 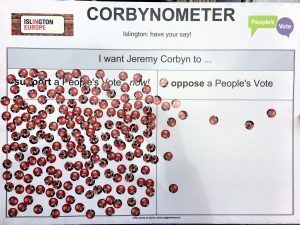 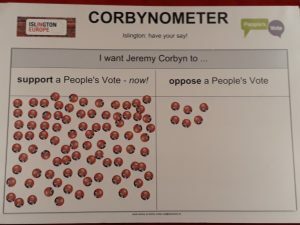 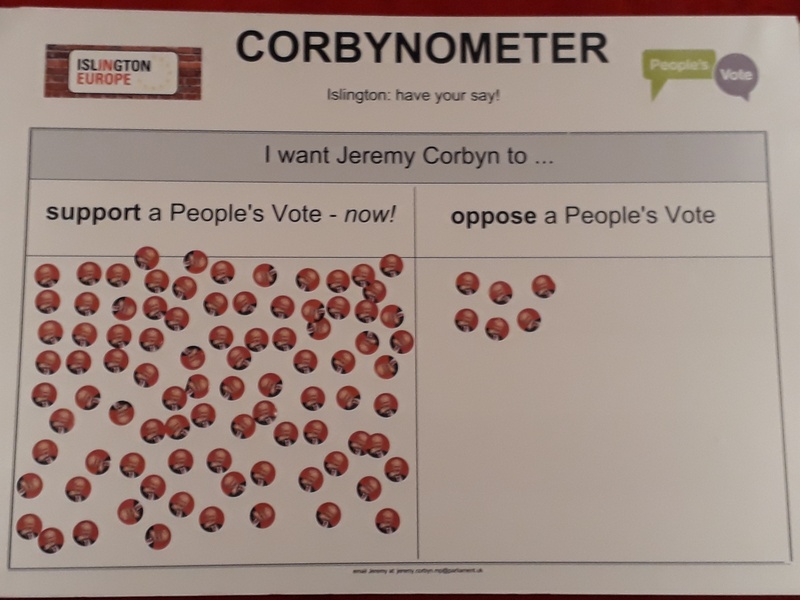 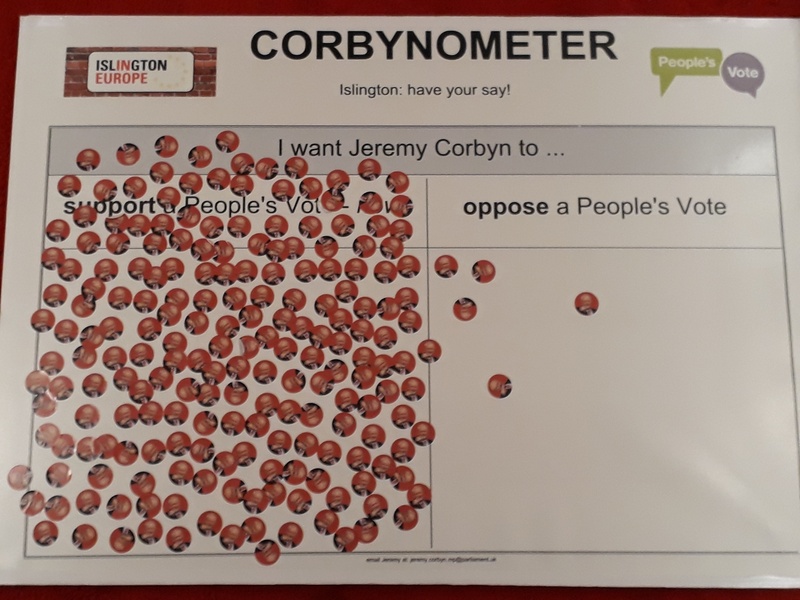 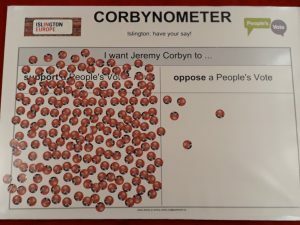 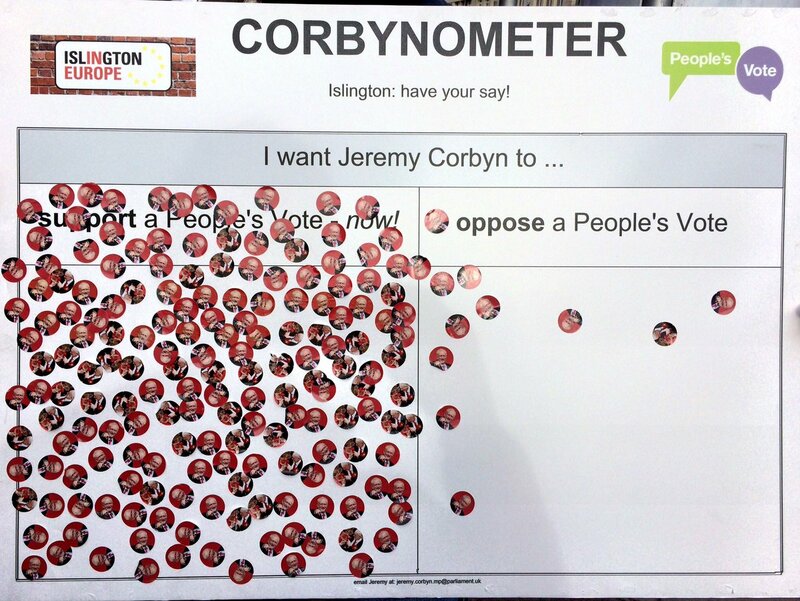 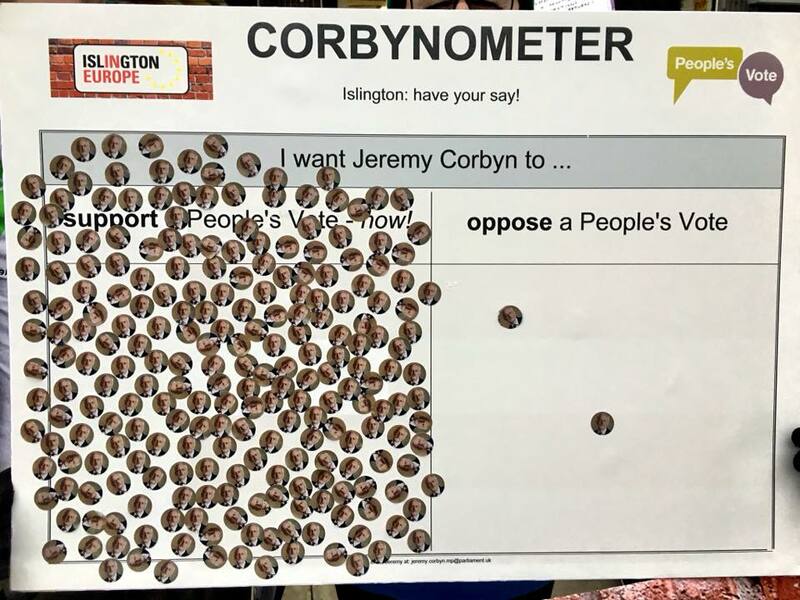 The big reveal for the Corbynometer with Jeremy stickers. 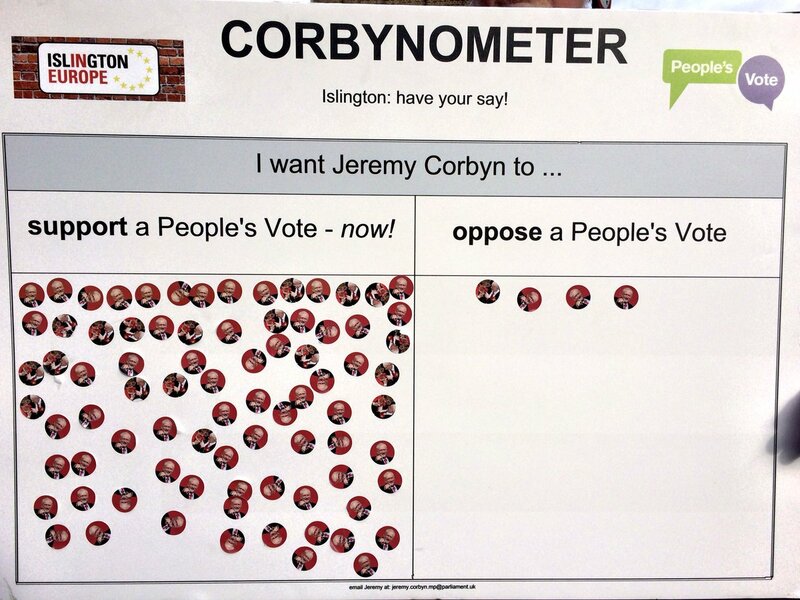 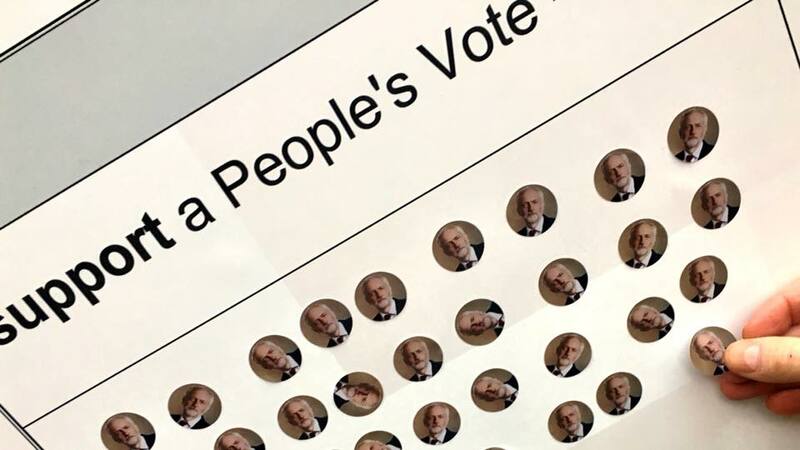 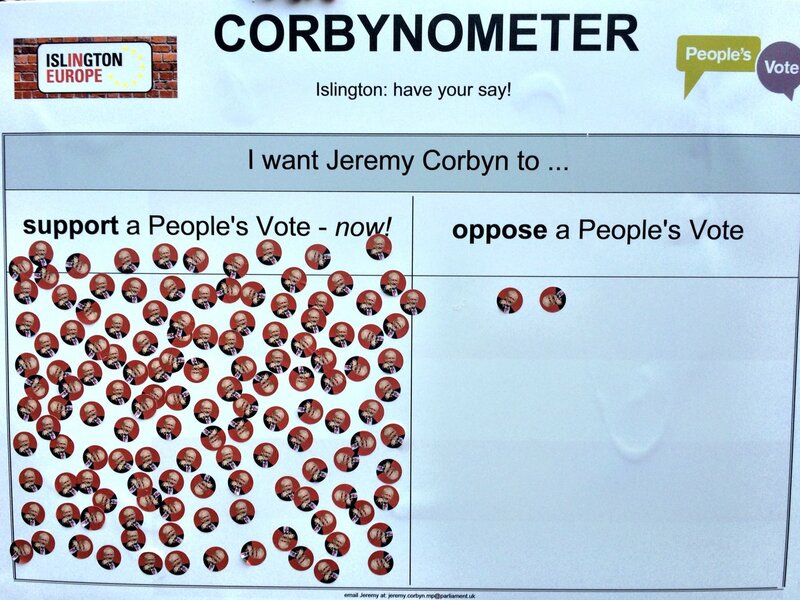 An overwhelming mandate for local MP Jeremy Corbyn to back a People’s Vote. 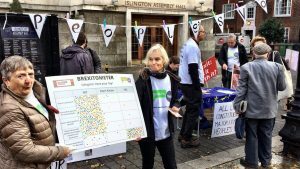 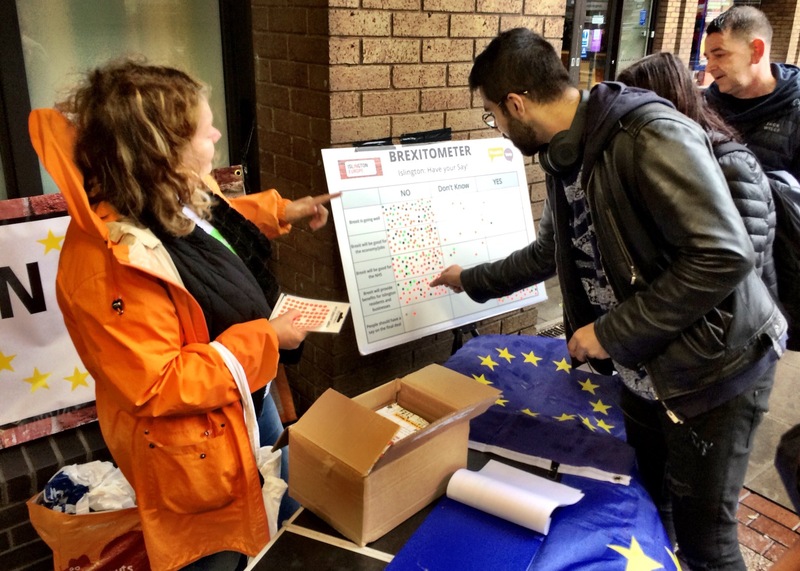 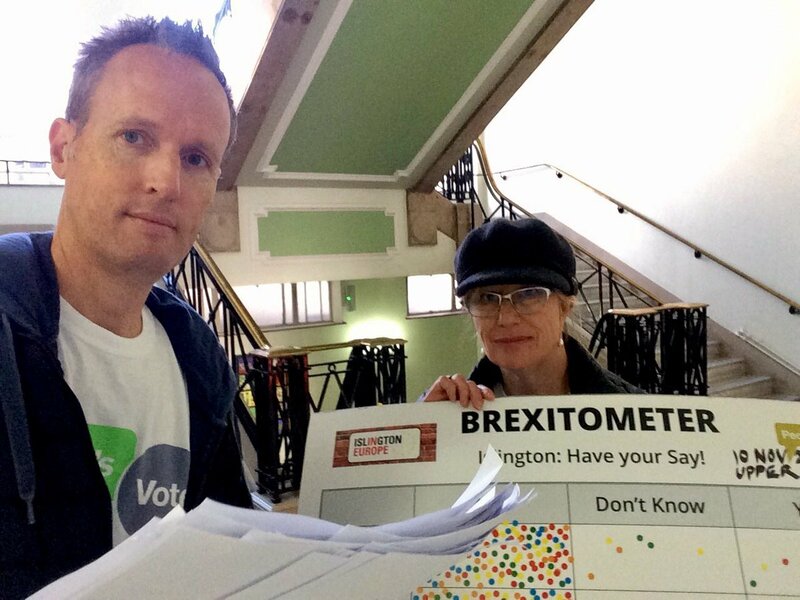 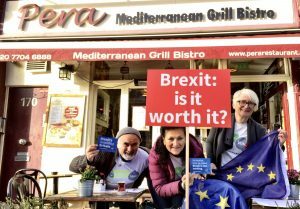 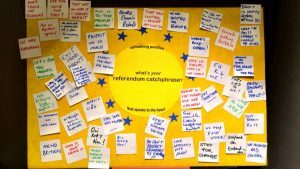 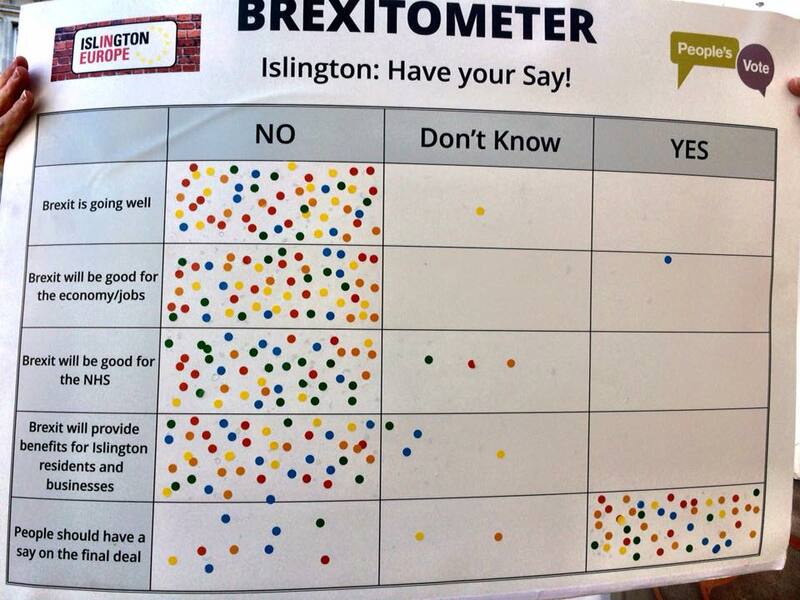 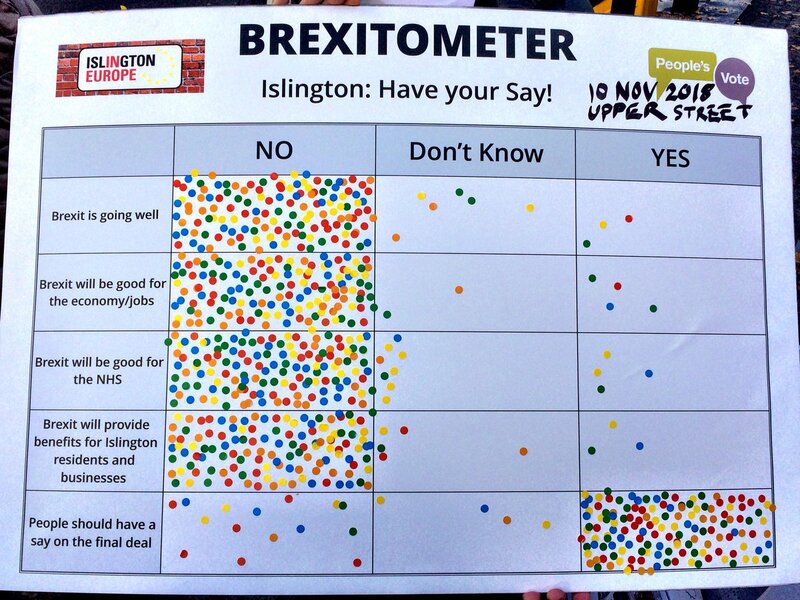 Successful session asking local people to vote on our Brexitometer, sign the petition, write letters at a nearby café. 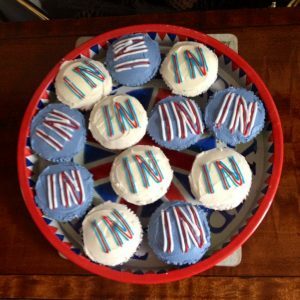 All delivered to Emily Thornberry’s surgery in the town hall. Actors Rupert Graves and Sam West, Finnish national TV and a suffragette also in attendance! 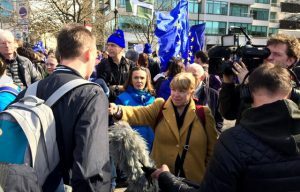 Media coverage: Finnish national tv (6’50” into the programme) and web story. 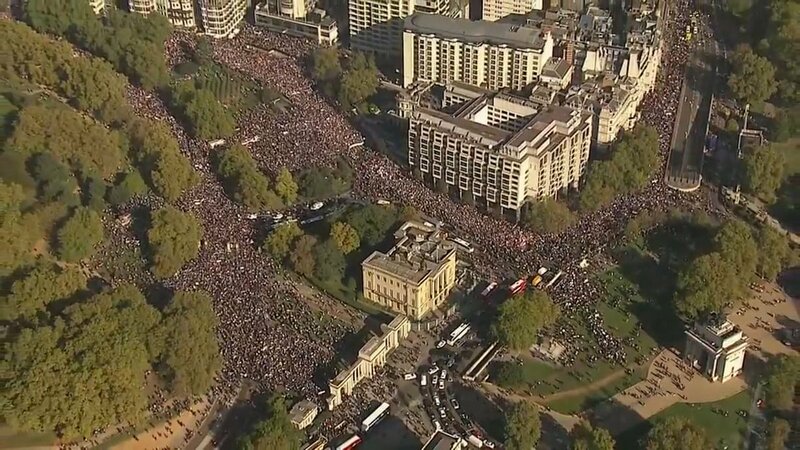 Part of something huge. 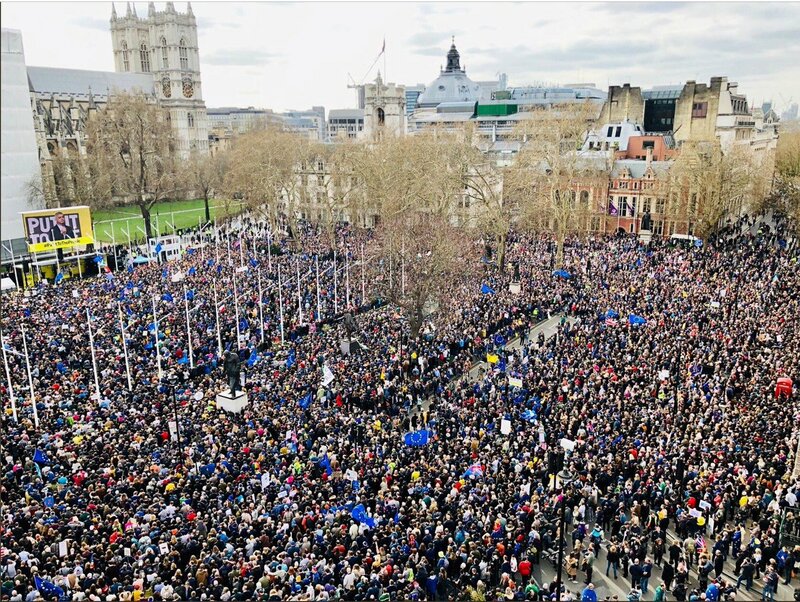 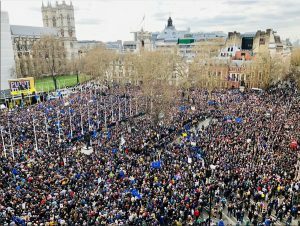 Alongside 700,000 others demanding a vote on the final Brexit deal. Islington In joined forces with European Movement City & East for a day in Westminster petitioning, surveying and talking to the constituents of Mark Field MP. 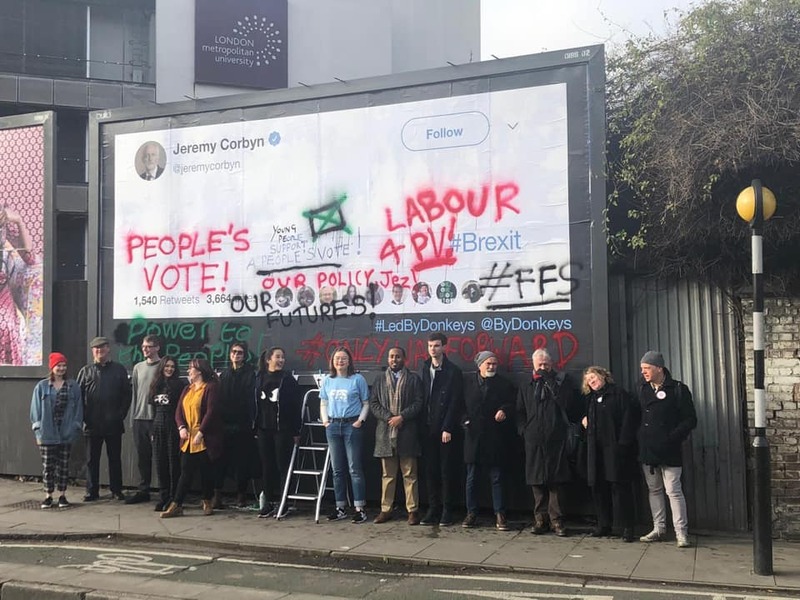 Meeting to discuss Labour’s position on Brexit and to press Emily Thornberry on a People’s Vote as the democratic way forward. 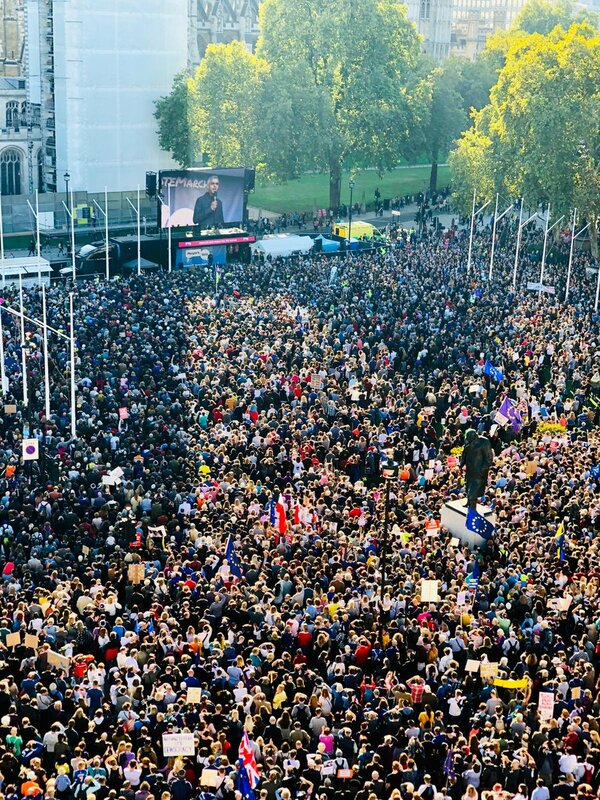 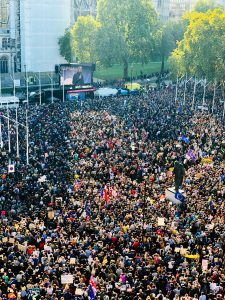 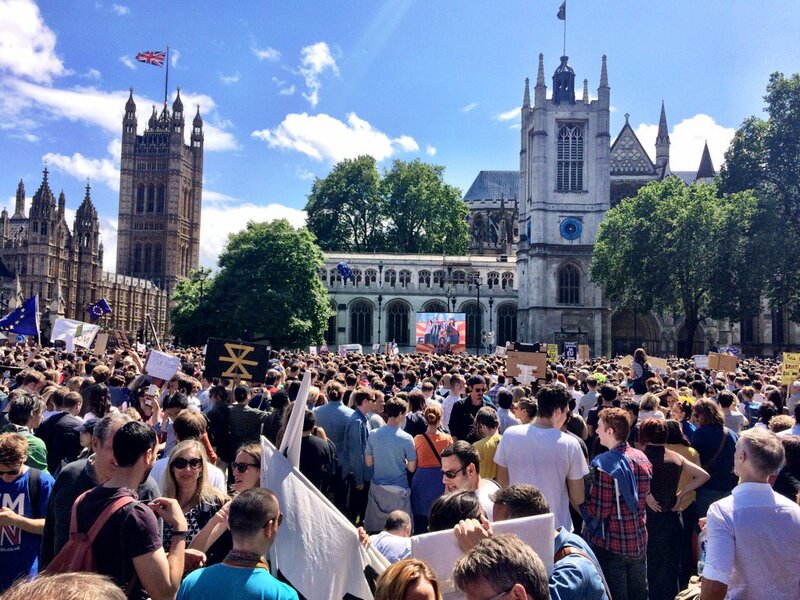 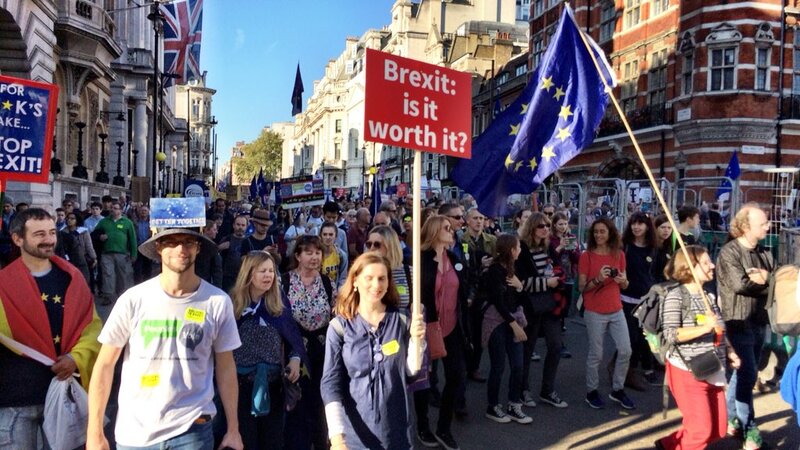 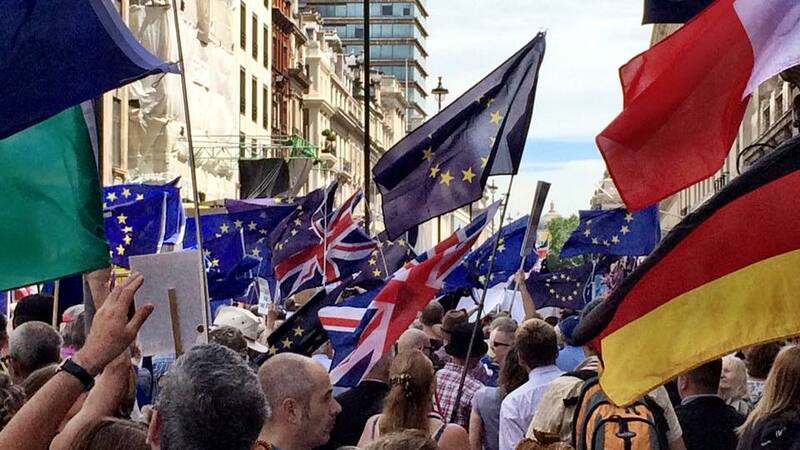 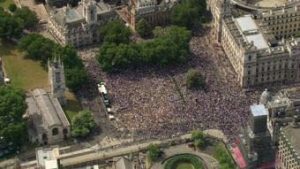 On the second anniversary of the referendum, more than 100,000 people joined a march and rally in Westminster to demand a people’s vote on the Brexit deal. 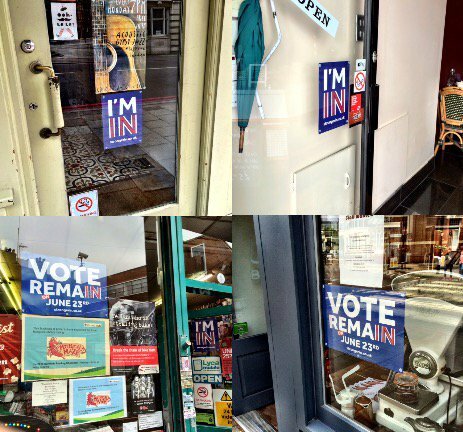 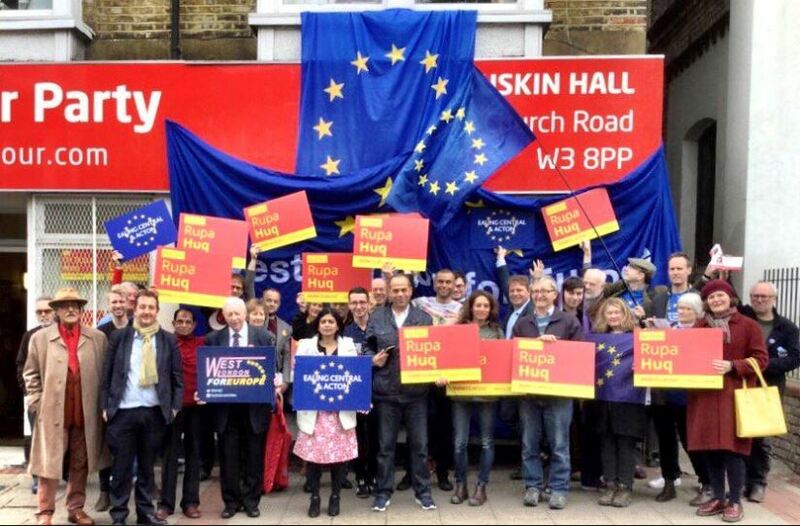 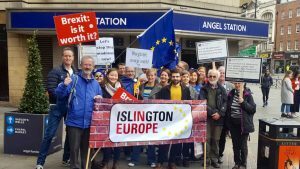 Islington In Europe was there in force. 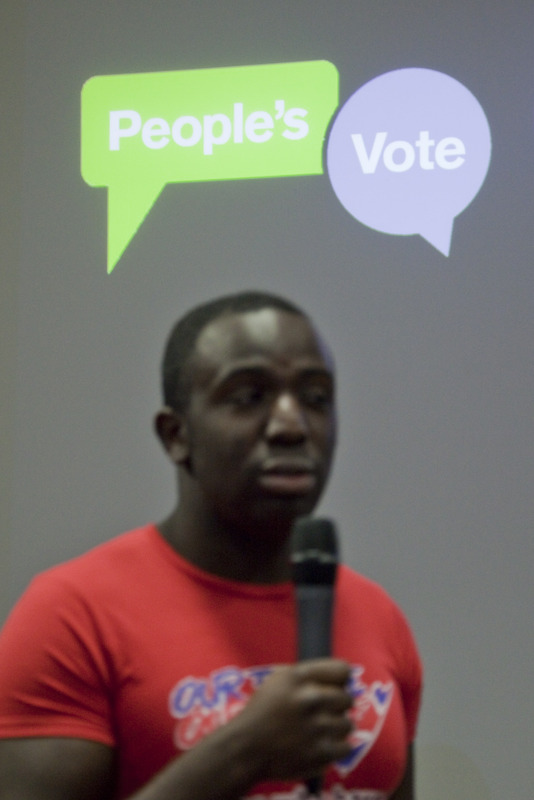 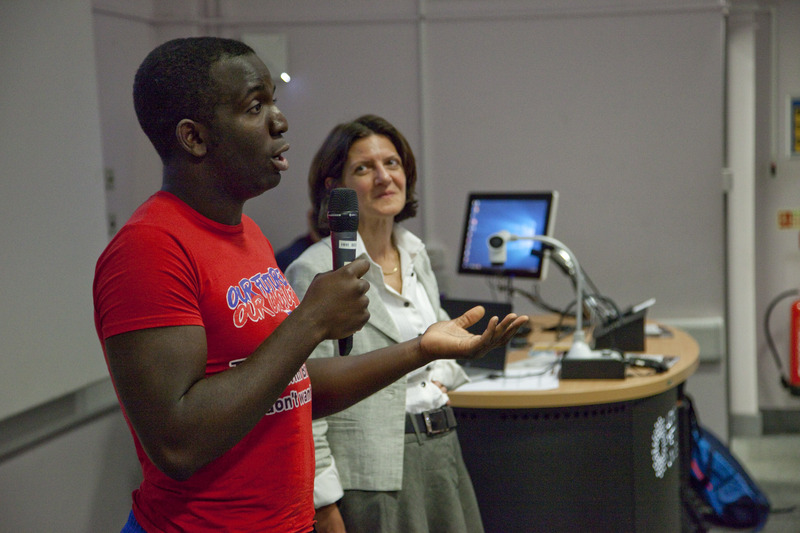 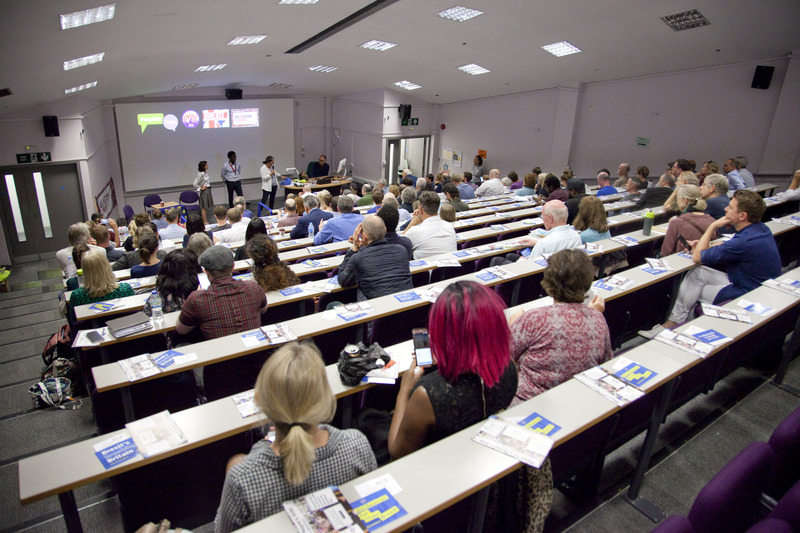 Ian Dunt (politics.co.uk), Femi Oluwole (OFOC), Mark Boansi (President-elect of London Met SU), hosted at London Met University. 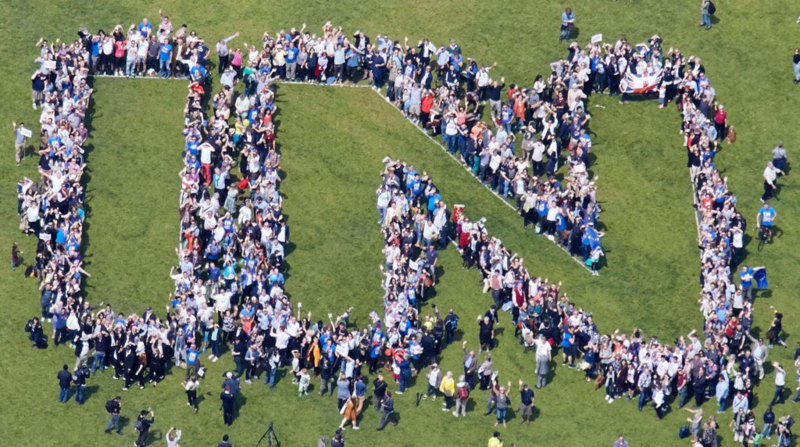 If you missed it, no worries, we filmed it! 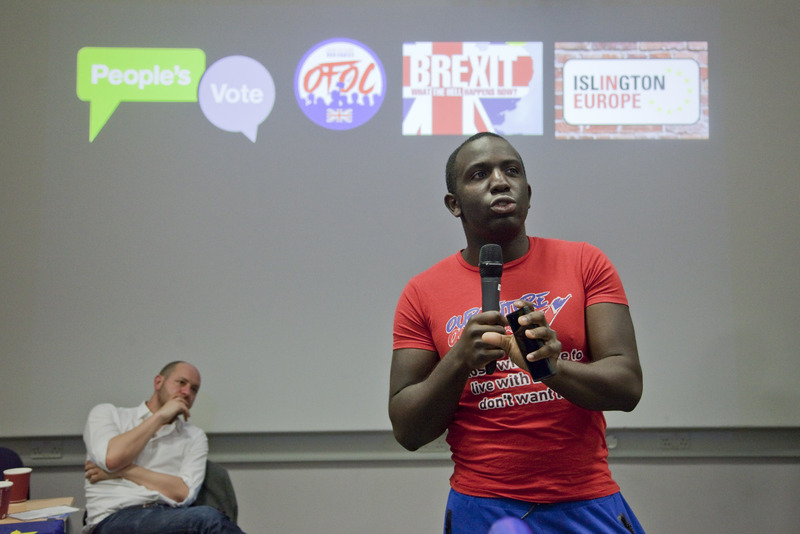 Check out our film of Ian Dunt here and Femi Oluwole here. 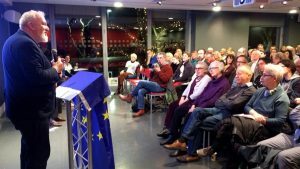 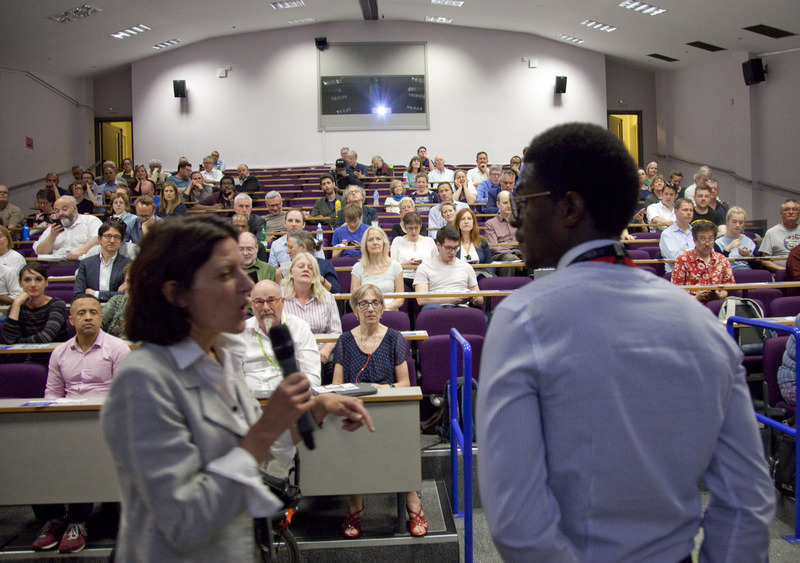 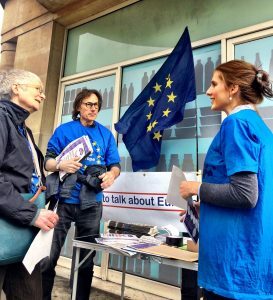 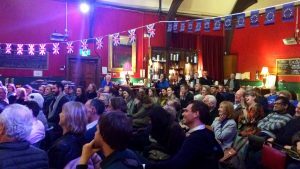 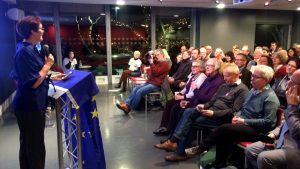 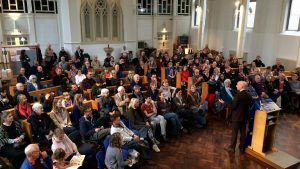 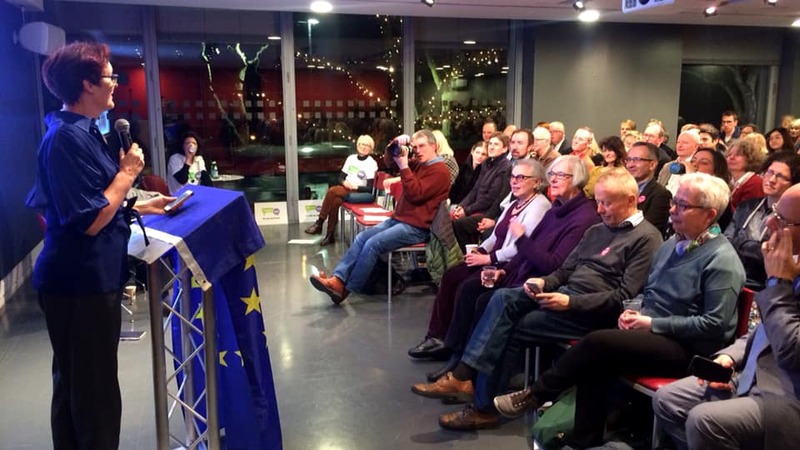 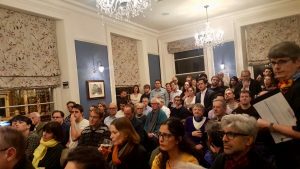 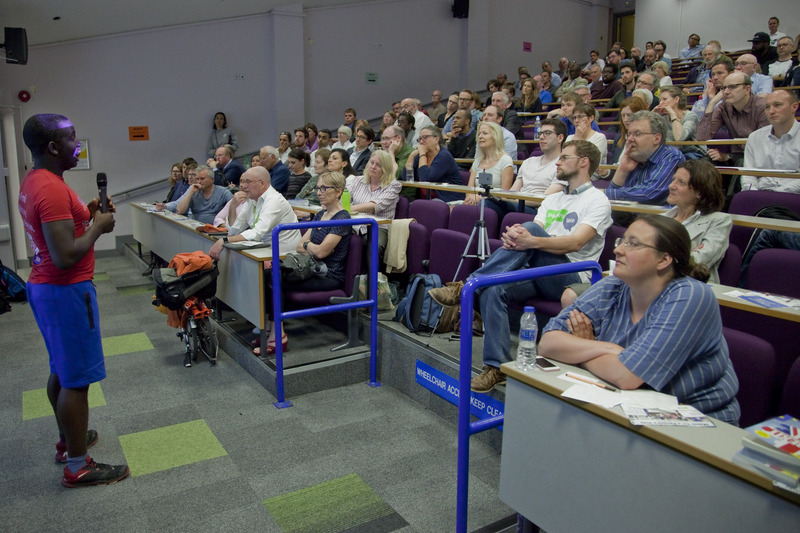 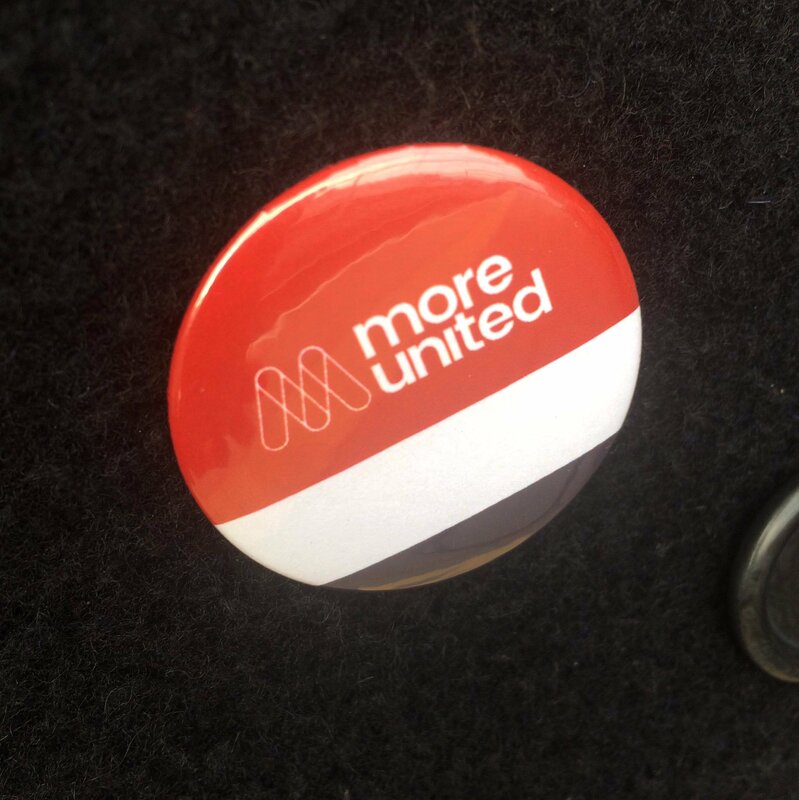 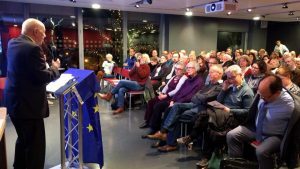 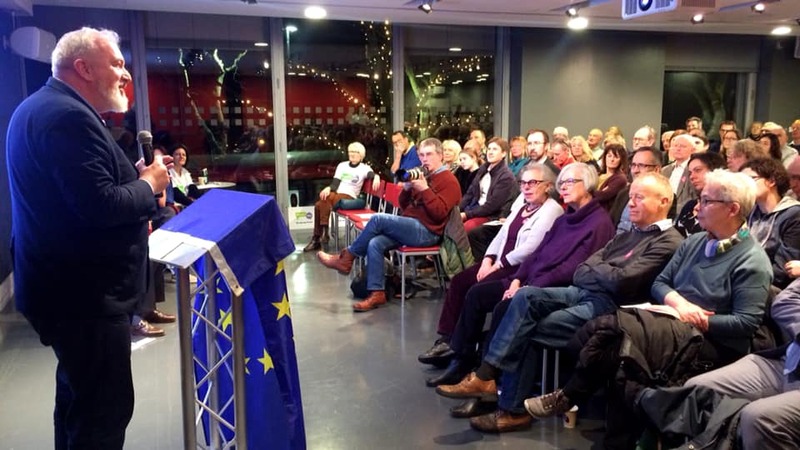 23 April 2018 speaker event – Beating brexit…on science and the environment with Mike Galsworthy (Programme Director, Scientists for EU) and Craig Bennett (Chief Executive, Friends of the Earth). 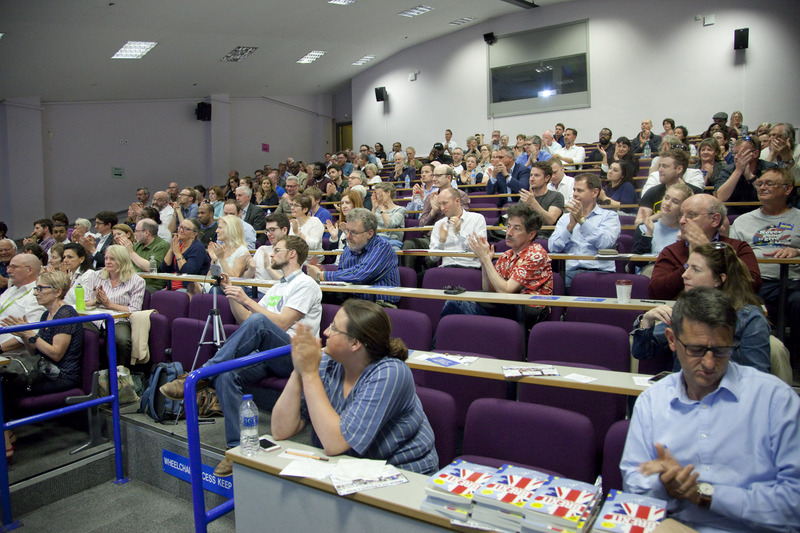 Watch the speakers’ presentations on our YouTube channel here. 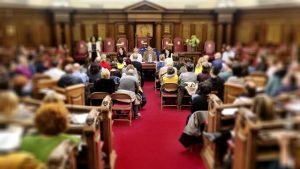 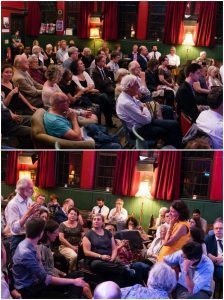 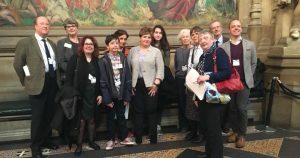 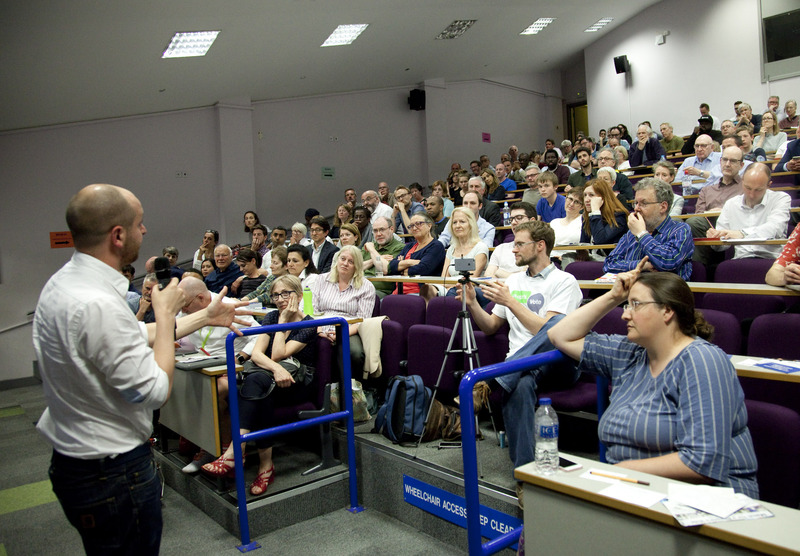 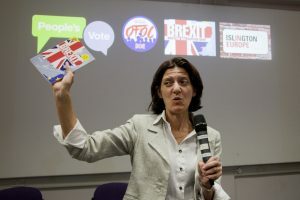 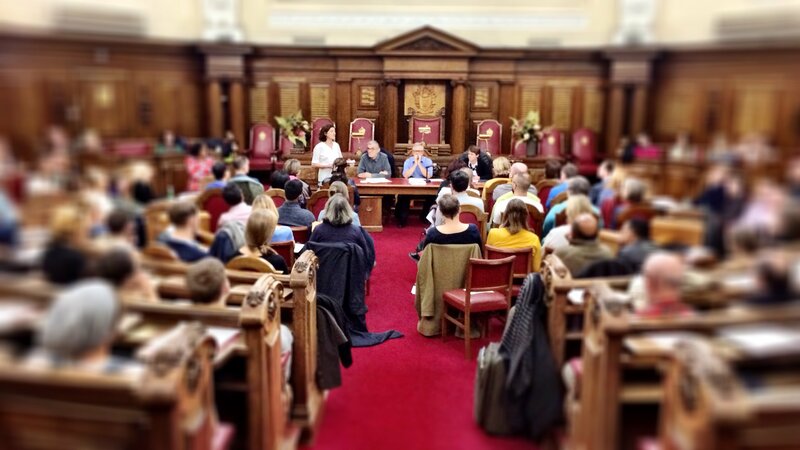 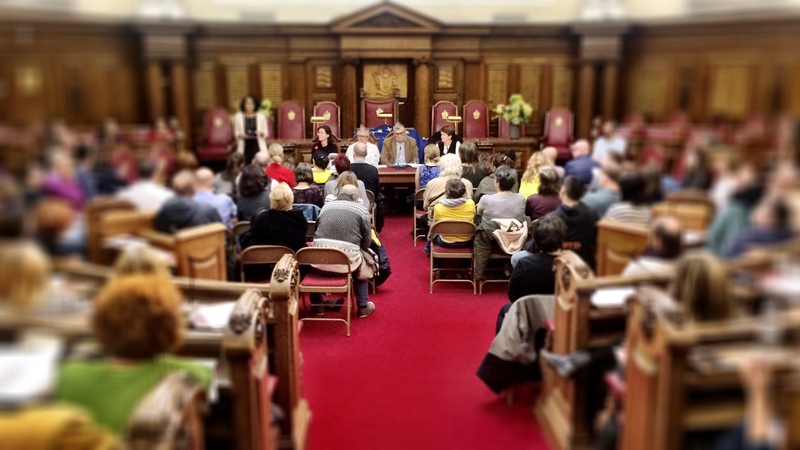 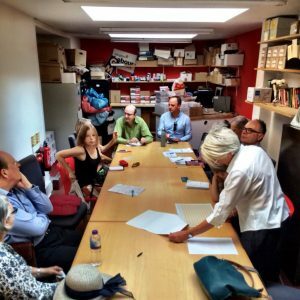 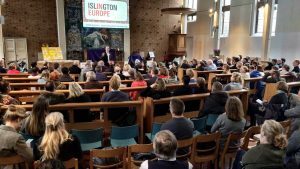 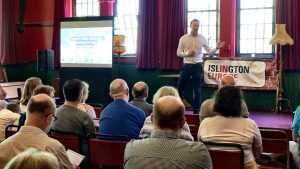 Islington in Europe’s third free legal advice session for EU nationals living in the UK. Councillor Kaya Comer-Schwartz, Executive Member for Community Development, Islington Council; Matthew Davies (Chair), partner and Head of Immigration, Wilsons Solicitors; Ana Gonzalez, partner, Wilsons Solicitors; Wesley Gryk, senior partner, Wesley Gryk Solicitors; Alison Hunter, partner, Wesley Gryk Solicitors. 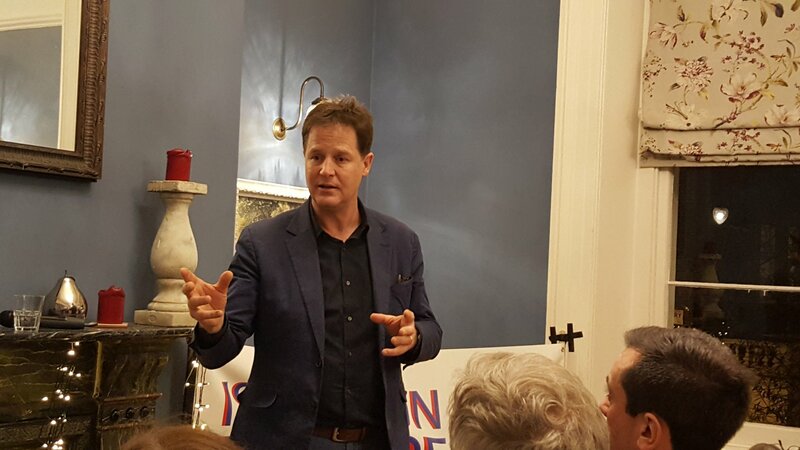 View full video of Nick Clegg’s inspiring talk and Q&A here. 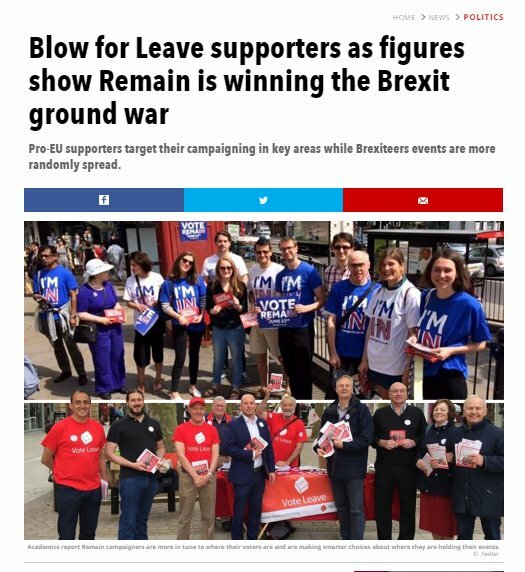 Media coverage from Business Insider here and here. 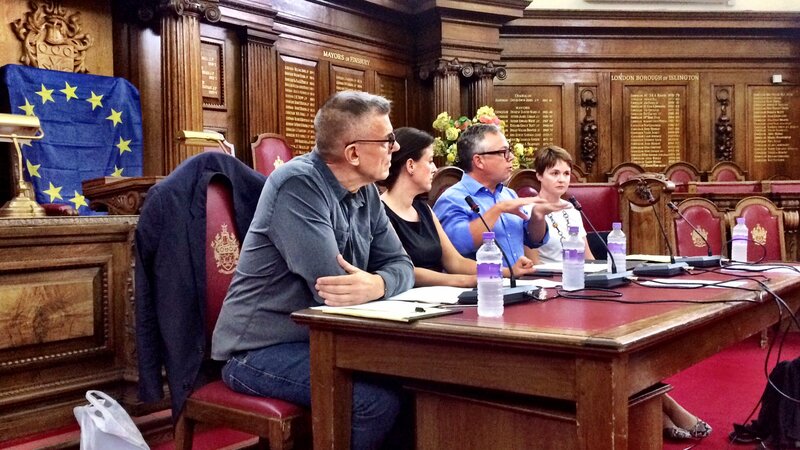 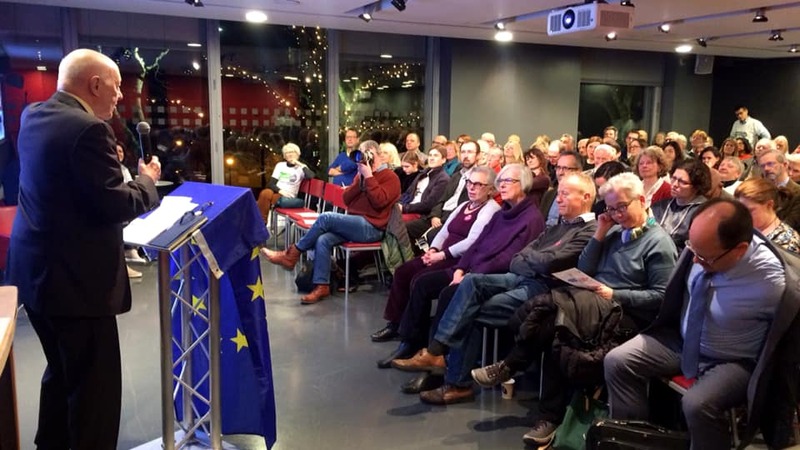 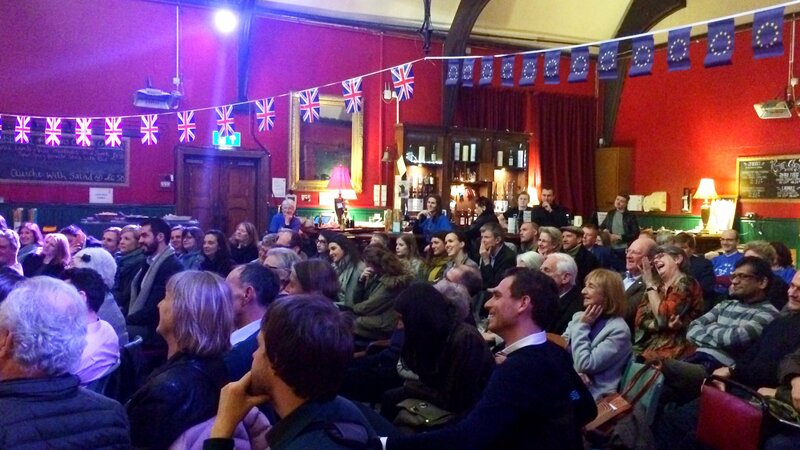 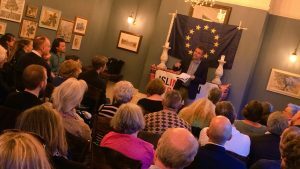 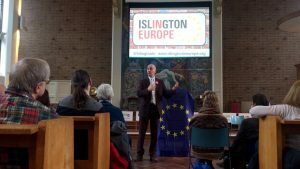 Islington in Europe’s second free legal advice session for EU nationals living in the UK. 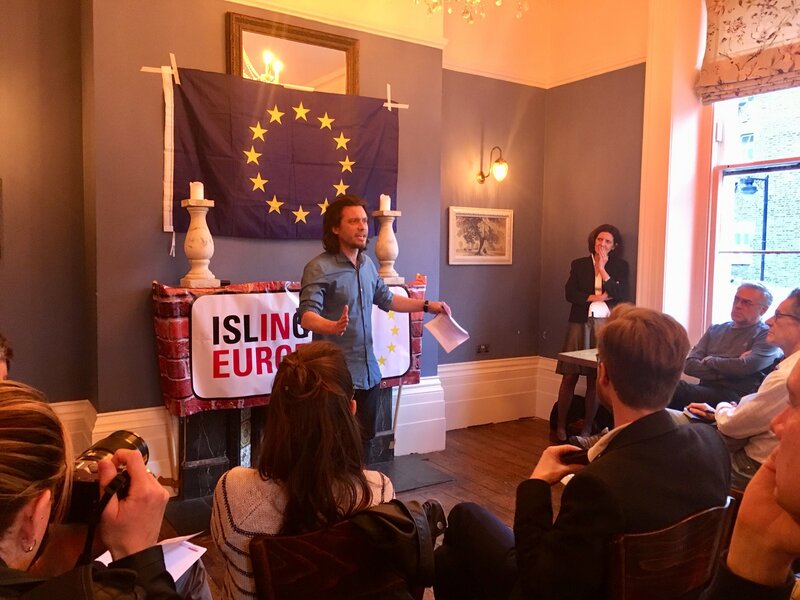 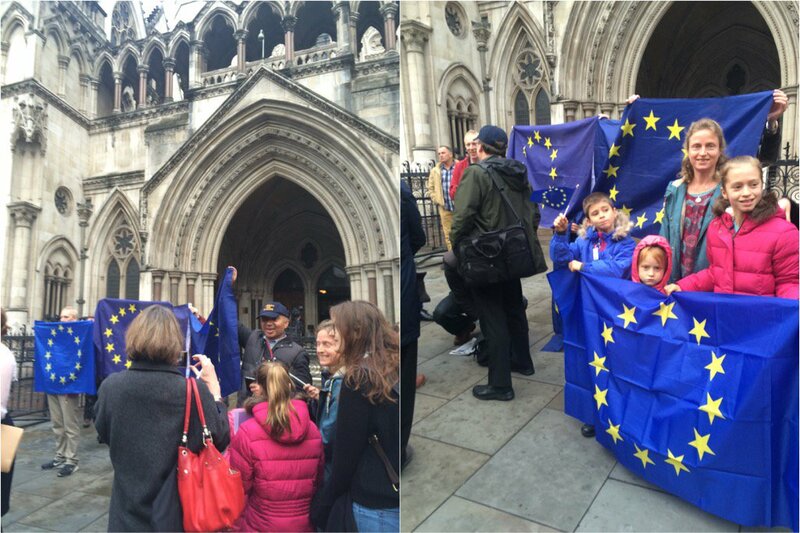 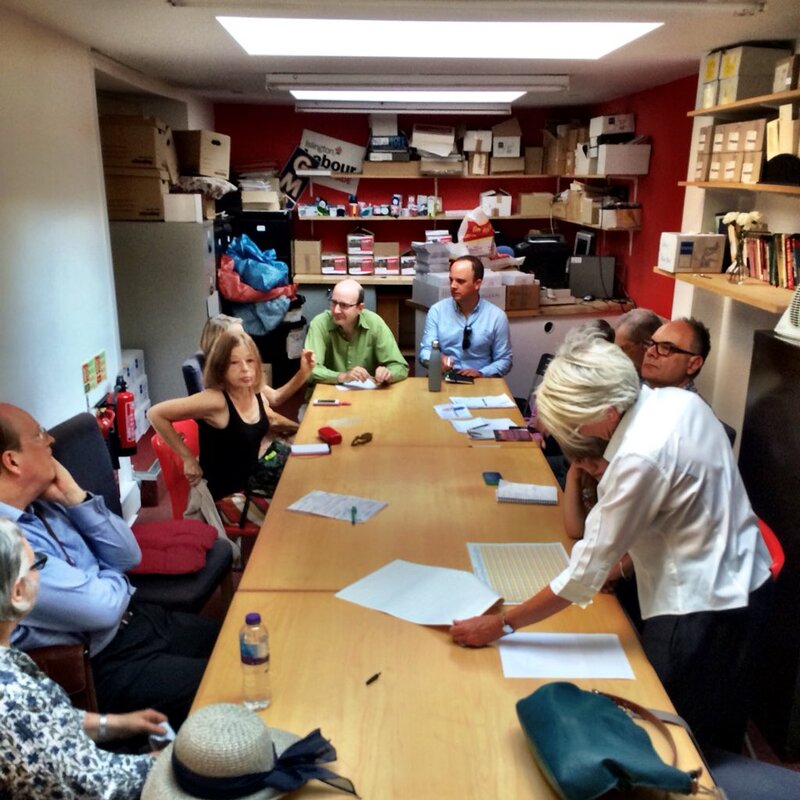 Islington in Europe’s first free legal advice session for EU nationals living in the UK. 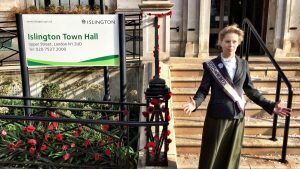 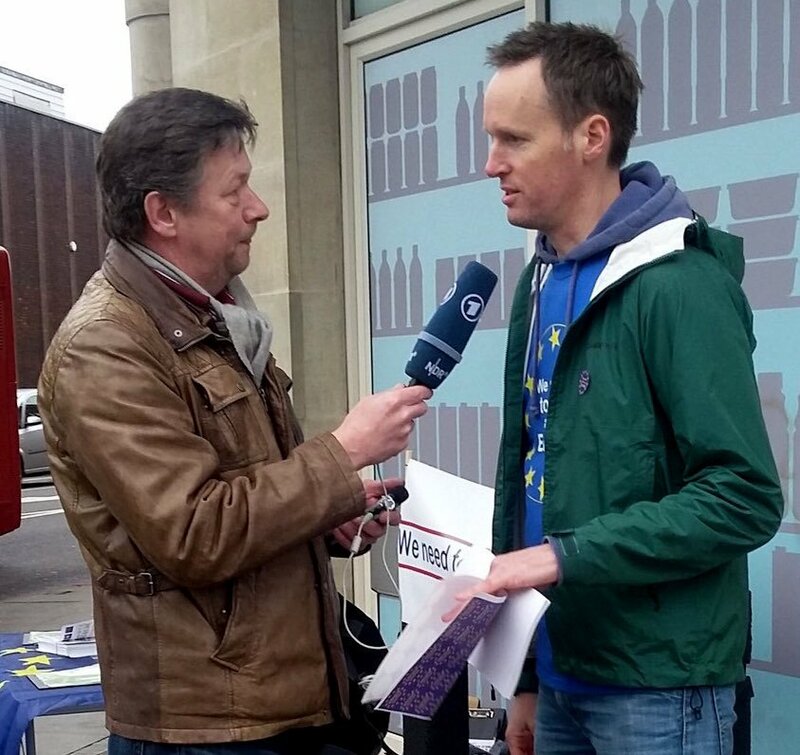 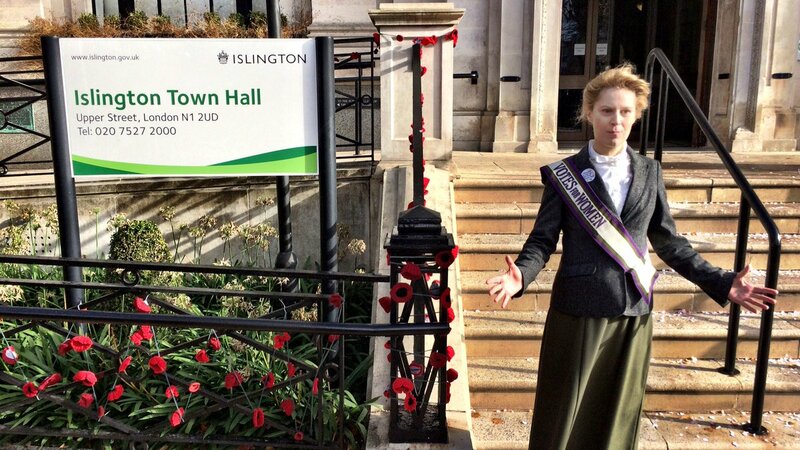 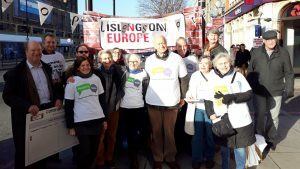 Media coverage featuring Islington In Europe on Tagesshau in Germany here. 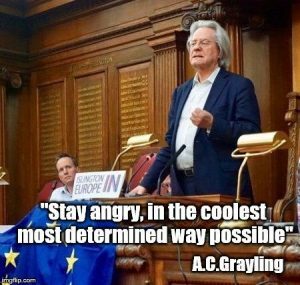 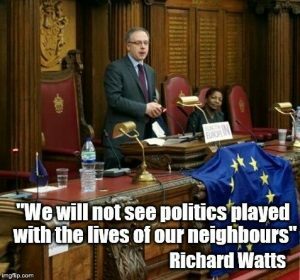 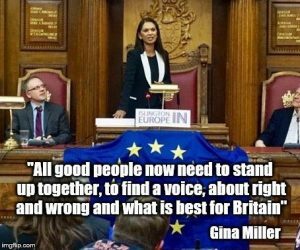 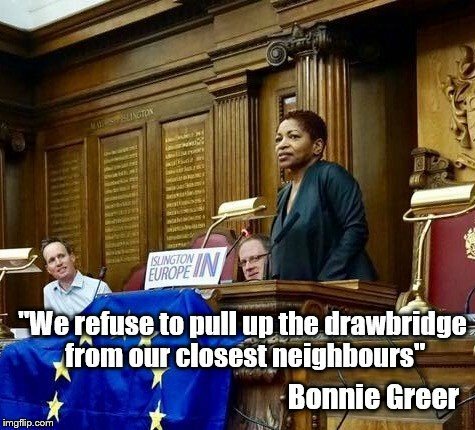 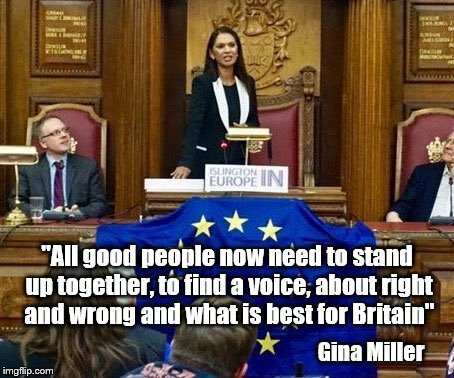 A C Grayling, philosopher, academic and author; Bonnie Greer, playwright, novelist, critic and broadcaster; Gina Miller, investment manager, legal challenger and Director, Best for Britain; Richard Watts, Leader, Islington Council. View full video of Fighting for Europe event here. 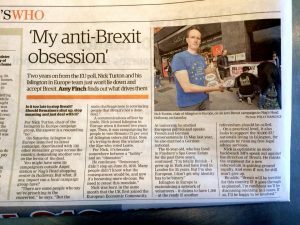 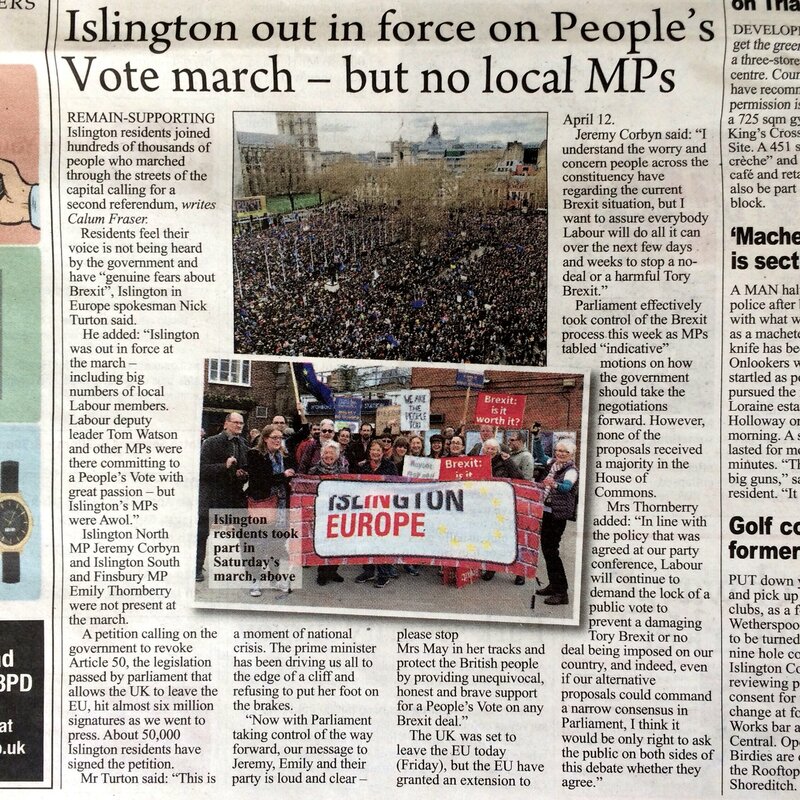 Media coverage in Islington Tribune here. 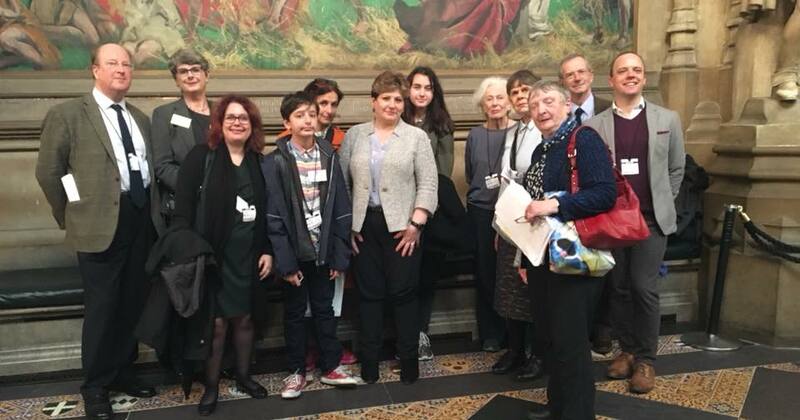 Hugo Dixon, Editor-in-chief , InFacts; Director, Common Ground; Baroness Sarah Ludford, Liberal Democrat Europe spokesperson, House of Lords; Richard Watts, Leader, Islington Council; David Poyser, Islington Councillor and member, national executive, Movement for Europe. 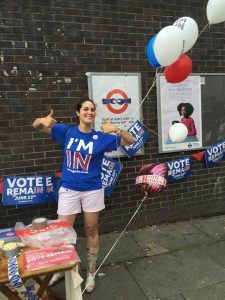 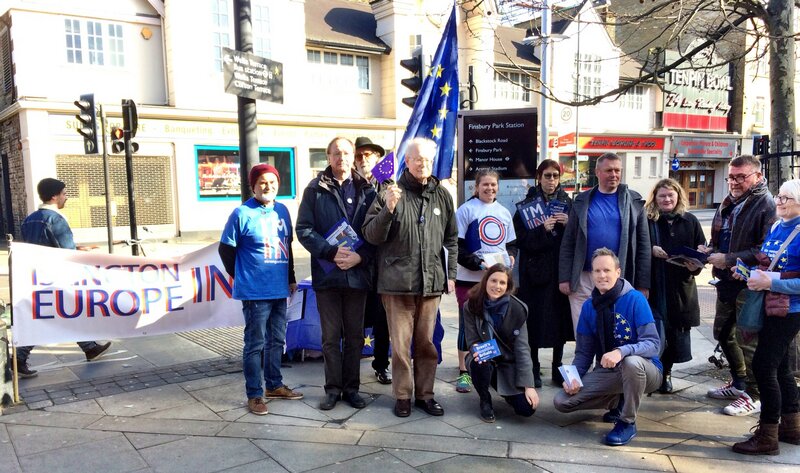 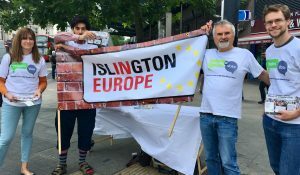 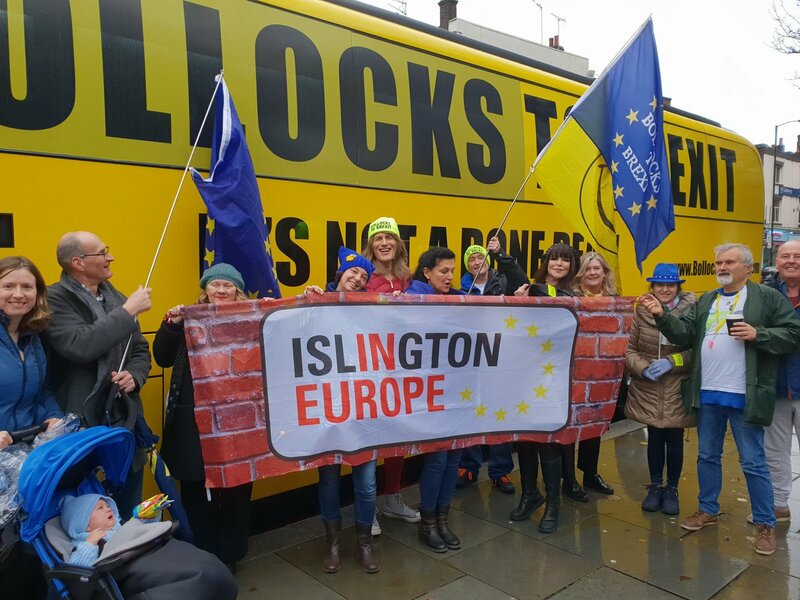 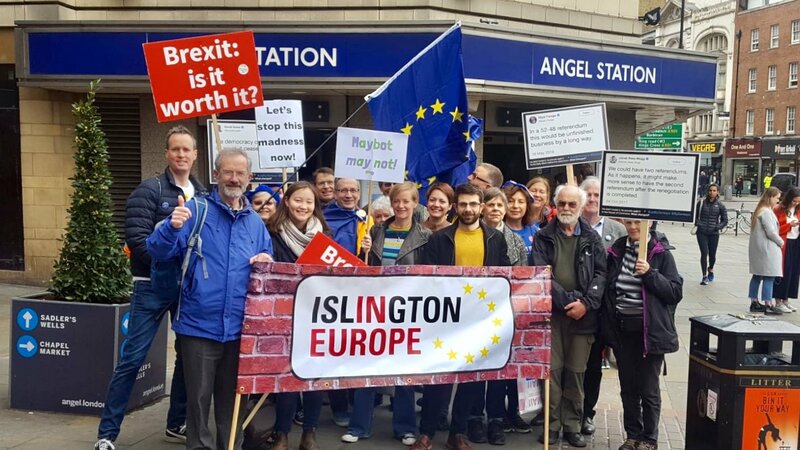 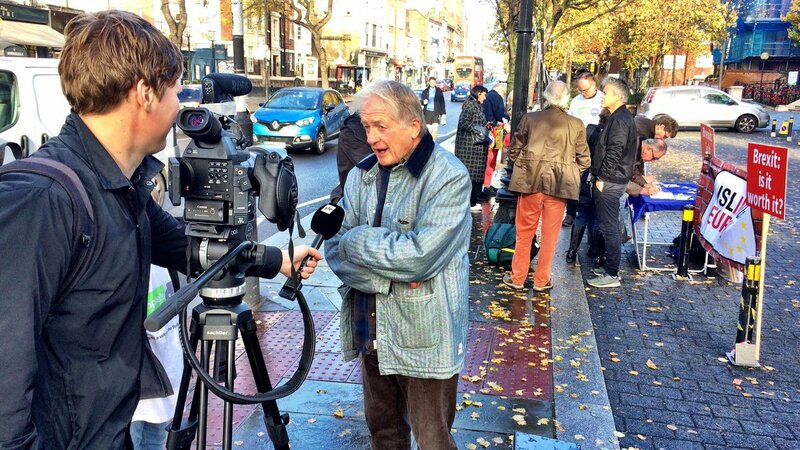 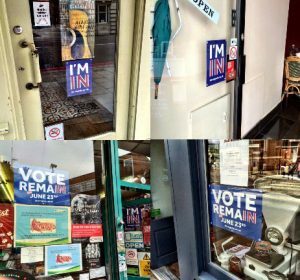 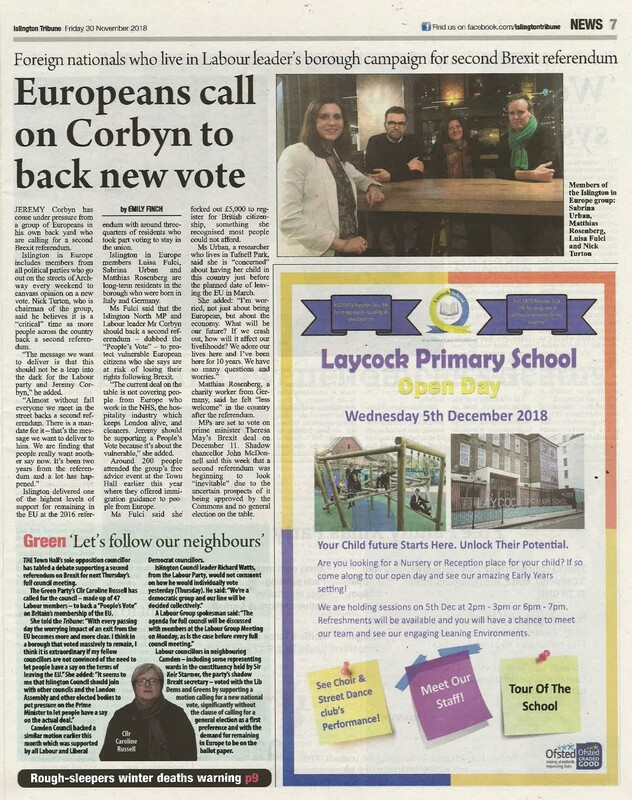 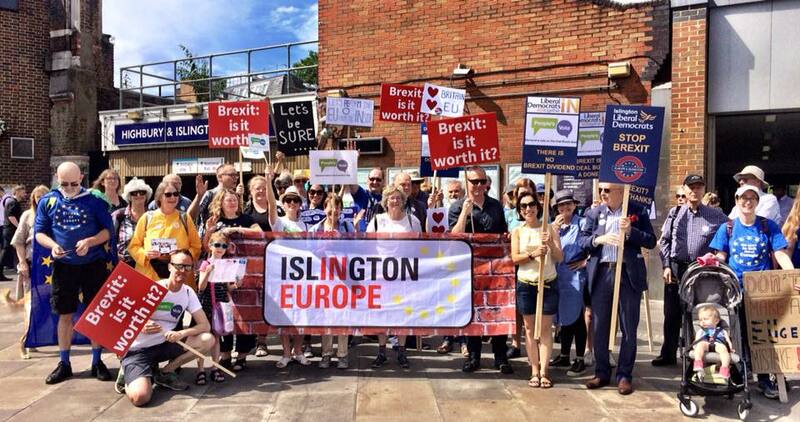 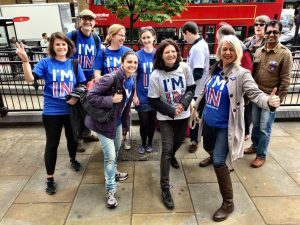 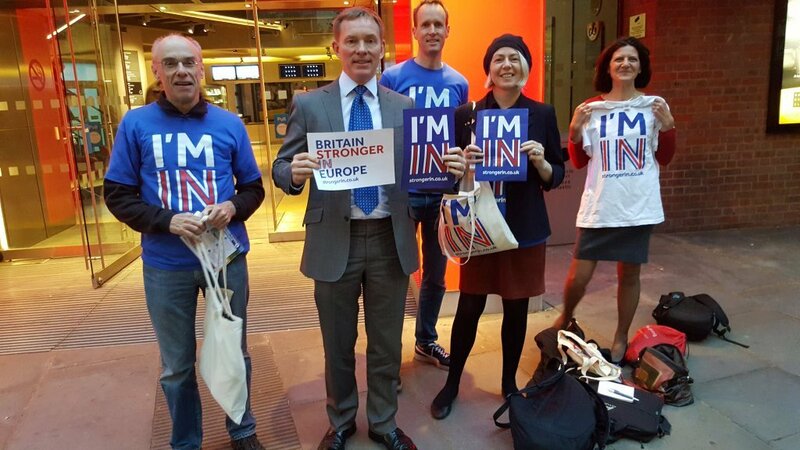 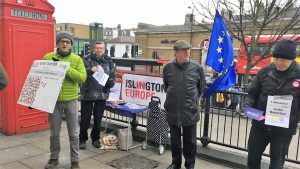 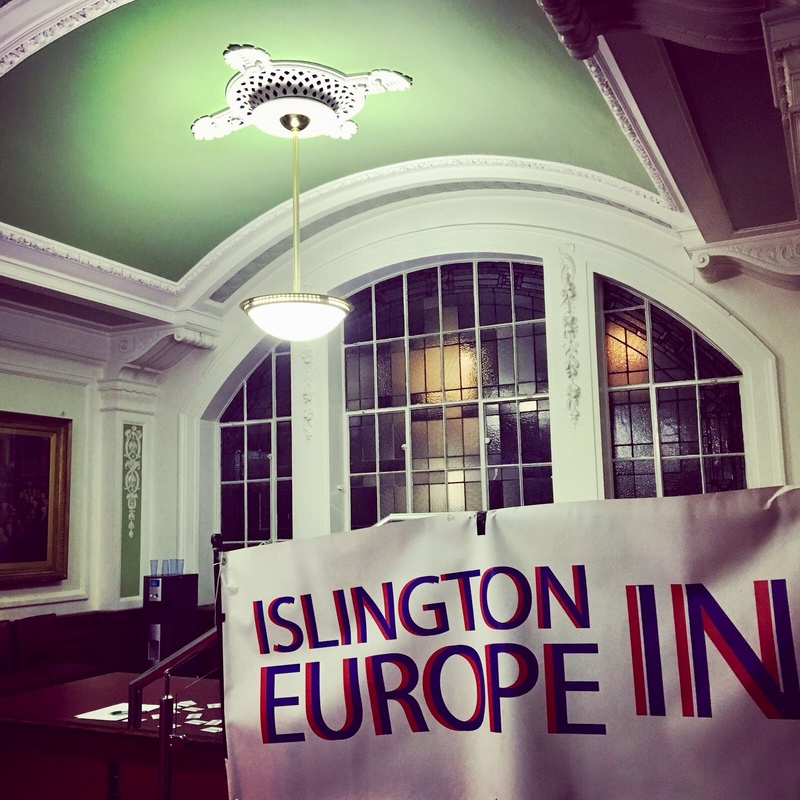 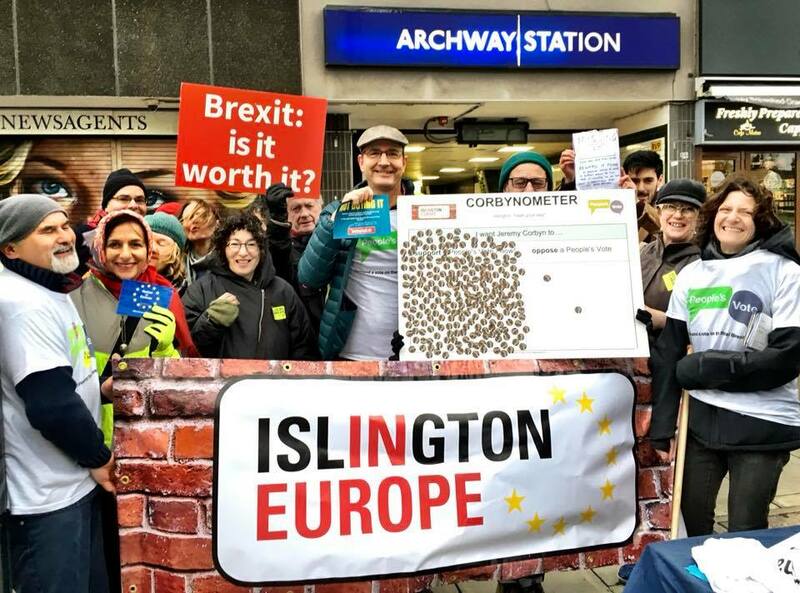 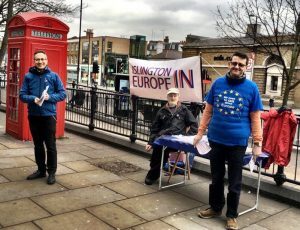 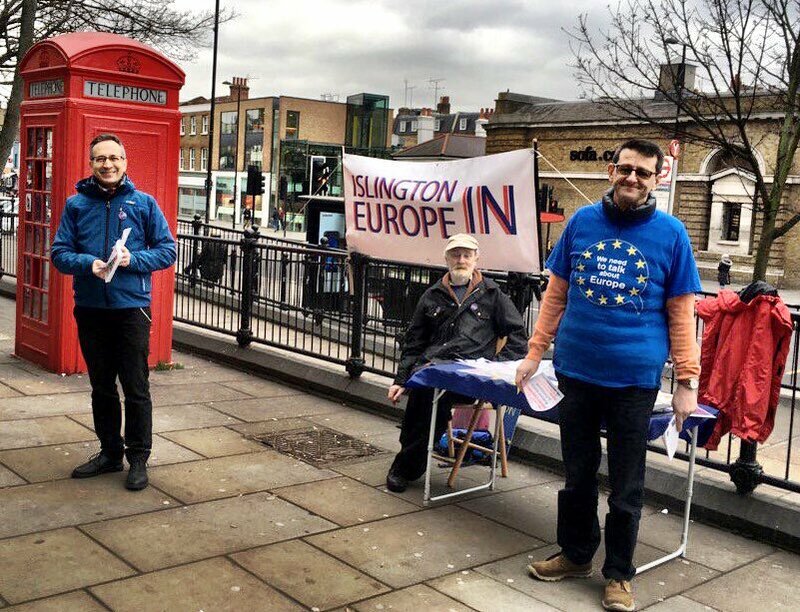 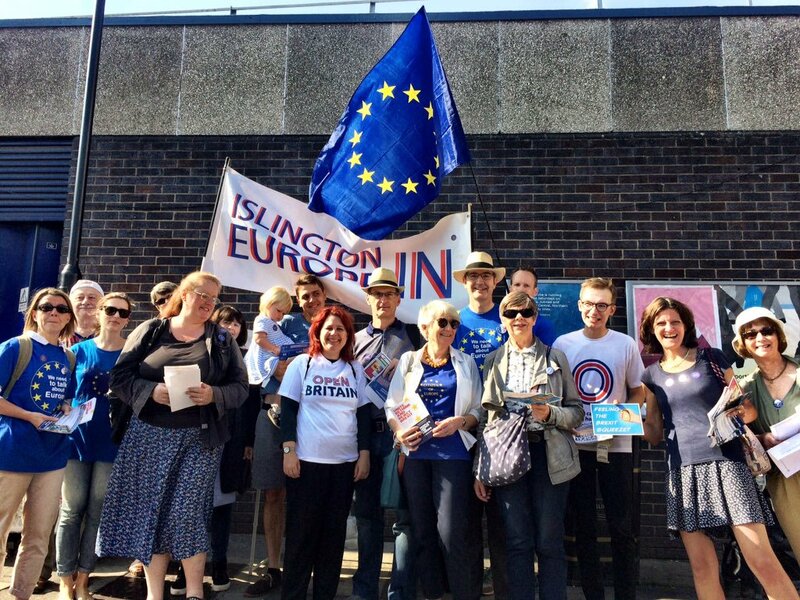 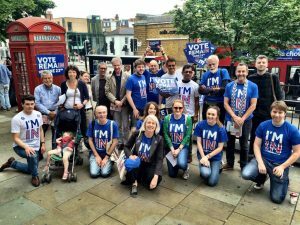 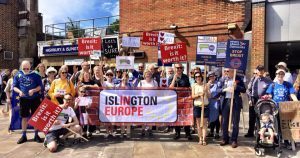 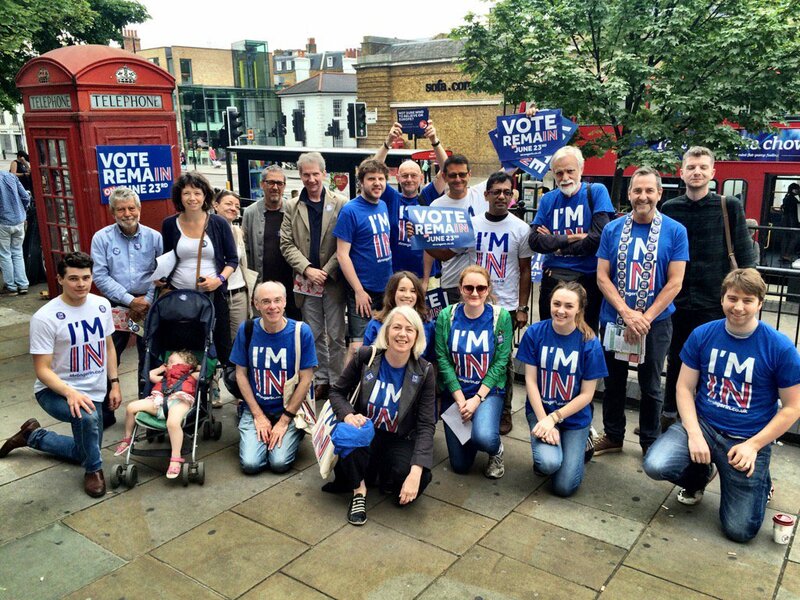 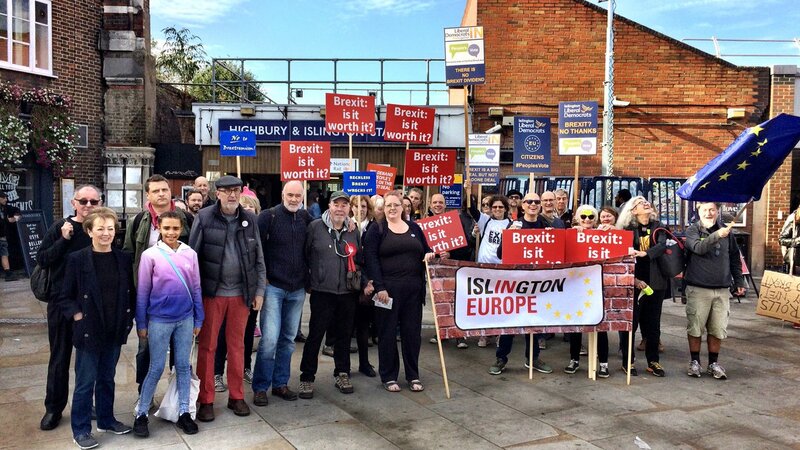 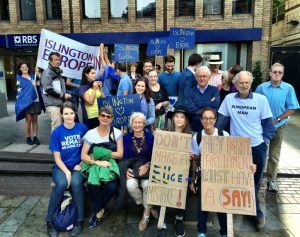 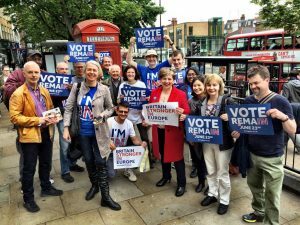 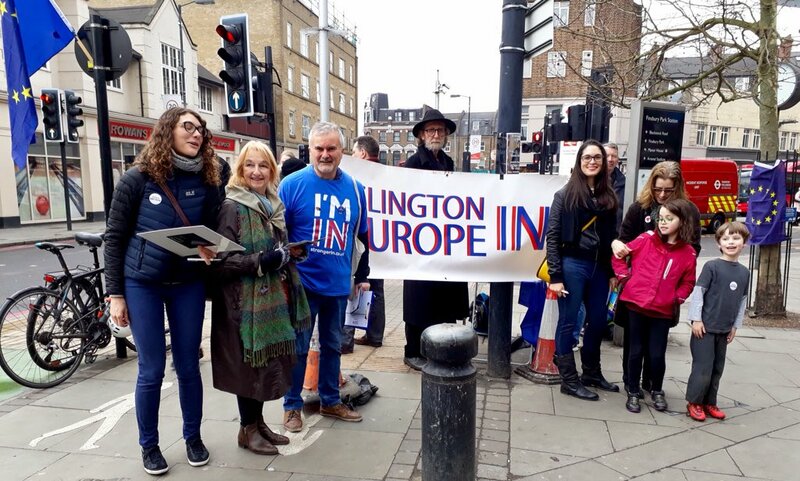 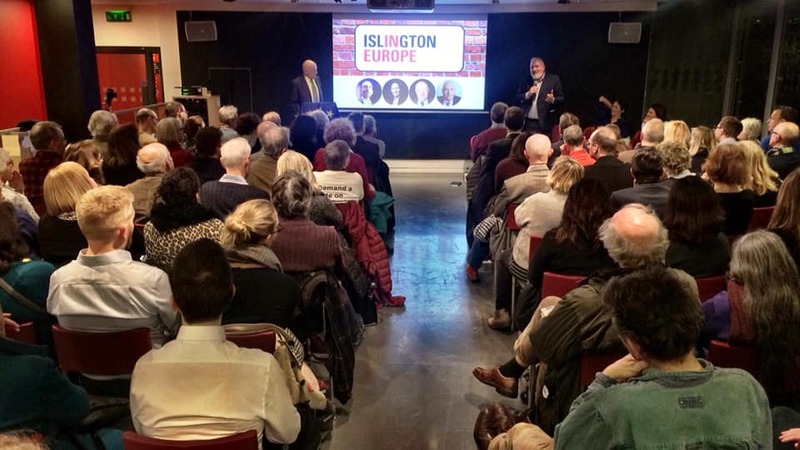 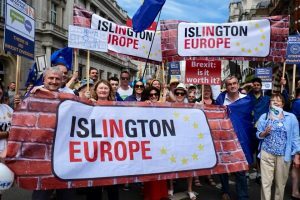 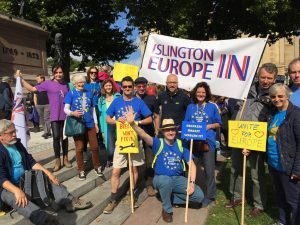 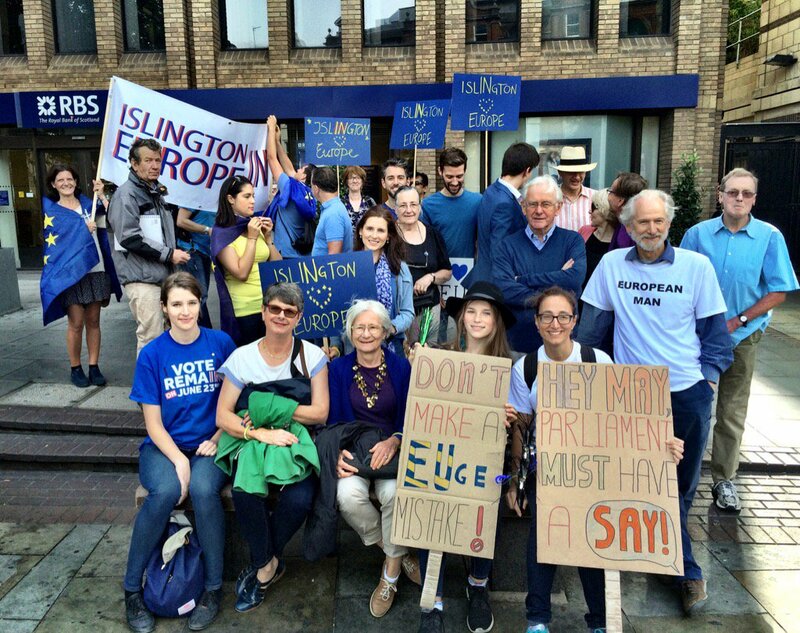 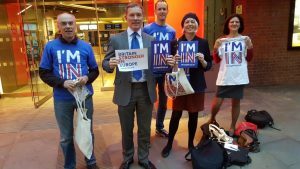 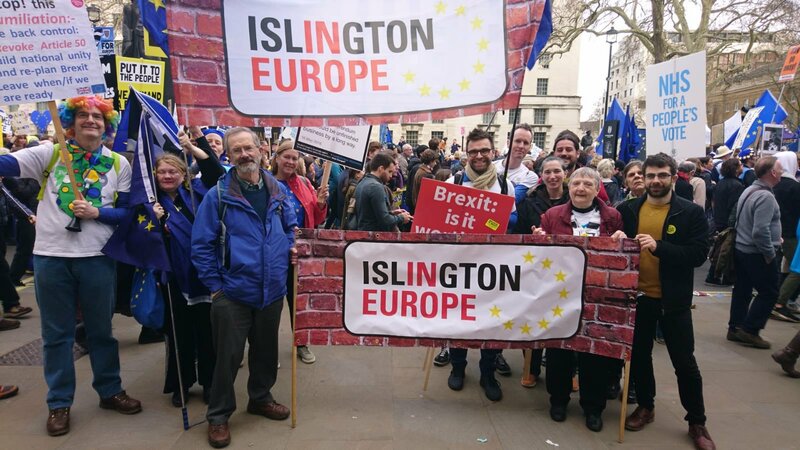 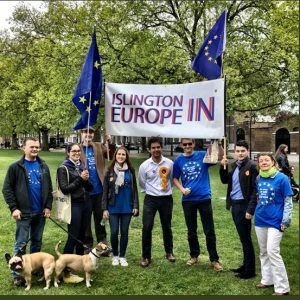 Media coverage profiling Islington Stronger In Europe in Islington Gazette here.